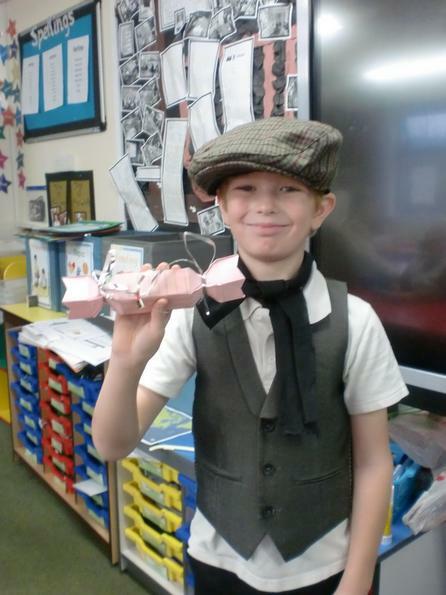 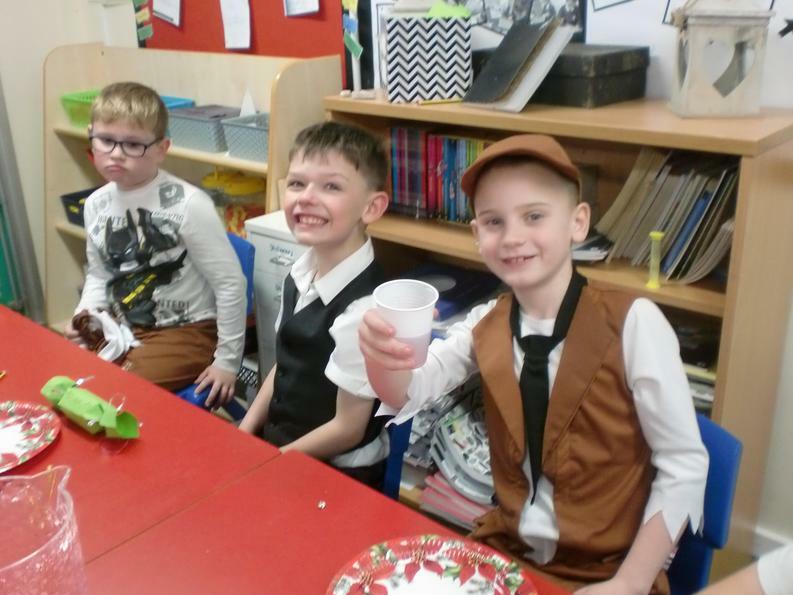 Welcome to our second adventure - 'A Very Victorian Adventure'. 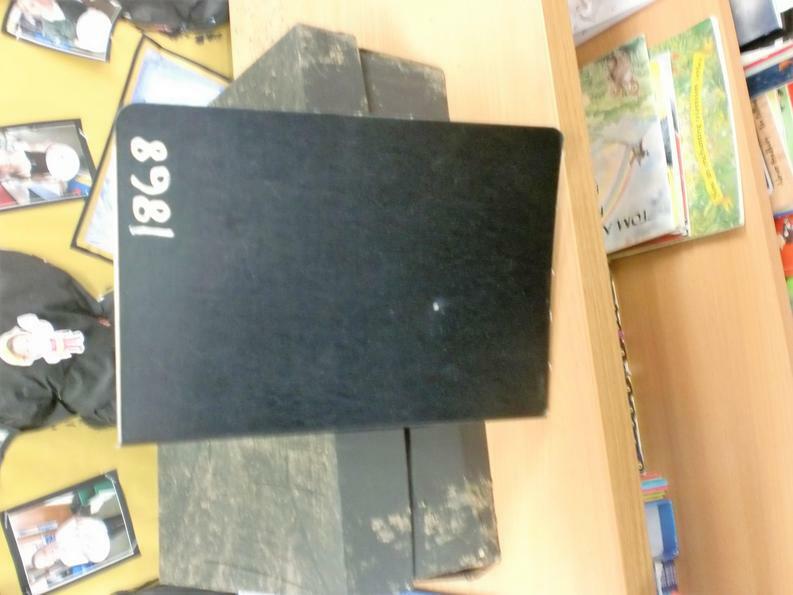 After returning to school after half term, we found a mysterious book in our classroom, dated from 1868..... 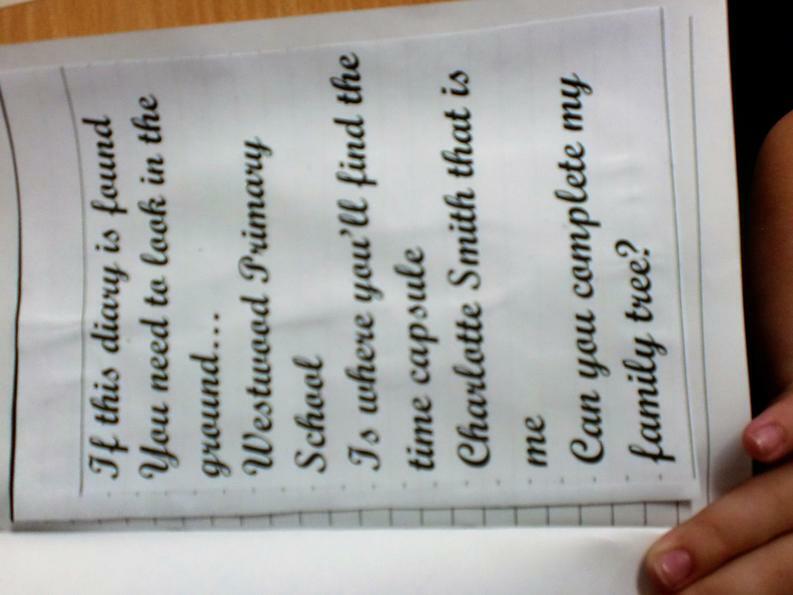 It was a diary that belonged to someone called Charlotte Smith. 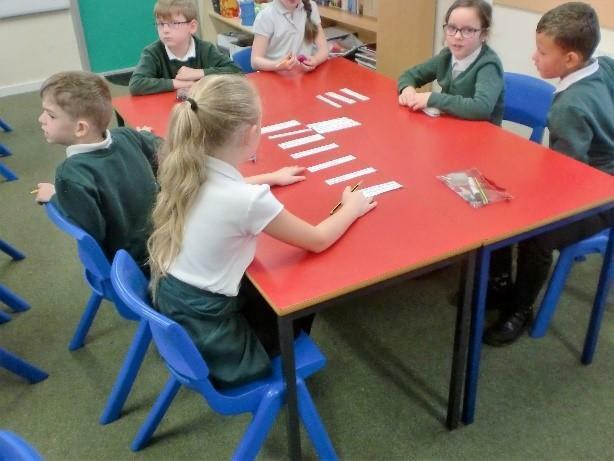 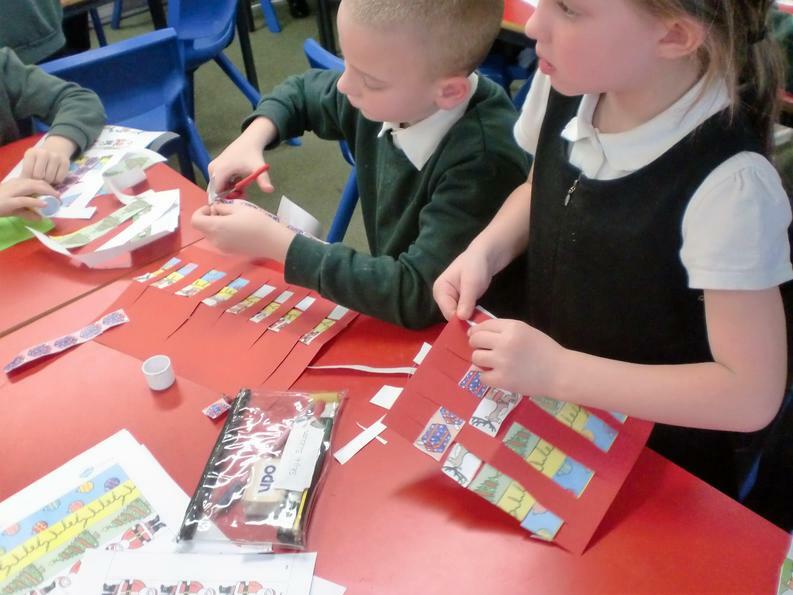 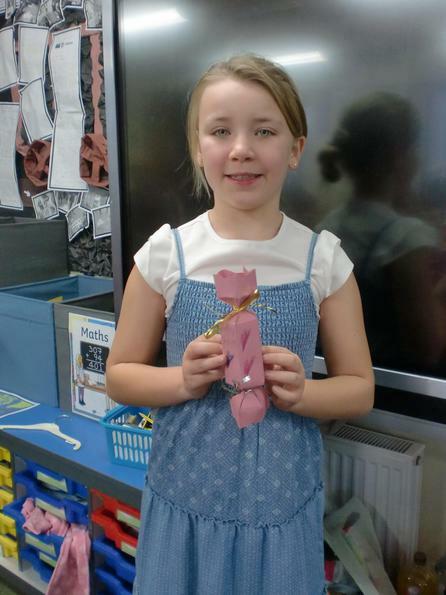 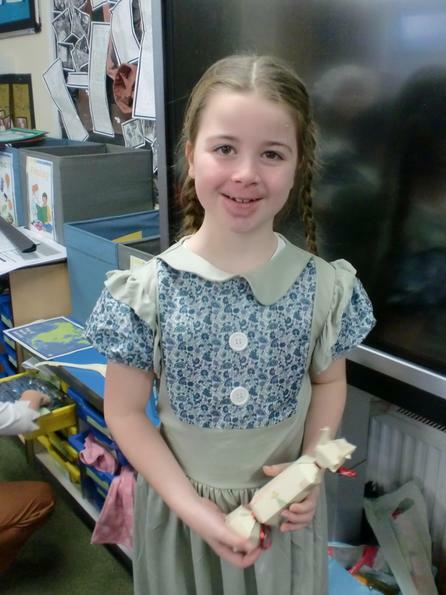 She had a very important job for us to do....could we discover the missing names on her family tree? 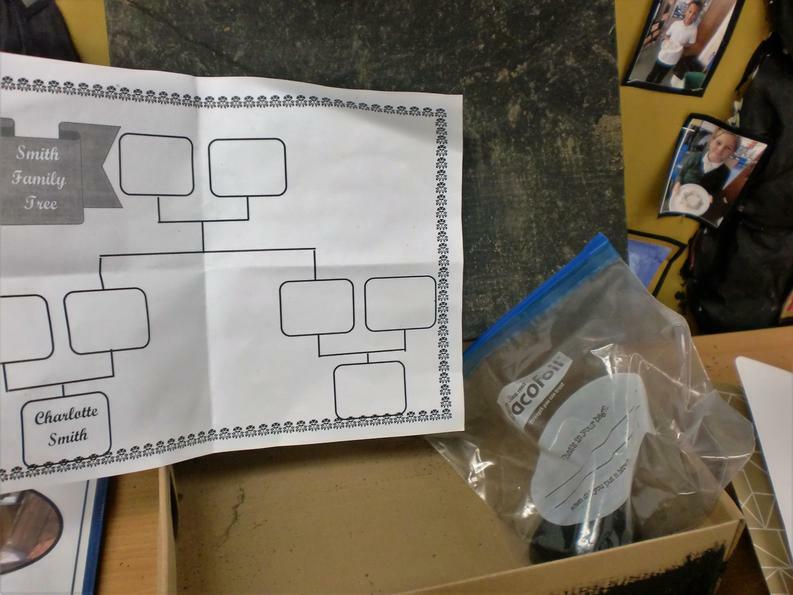 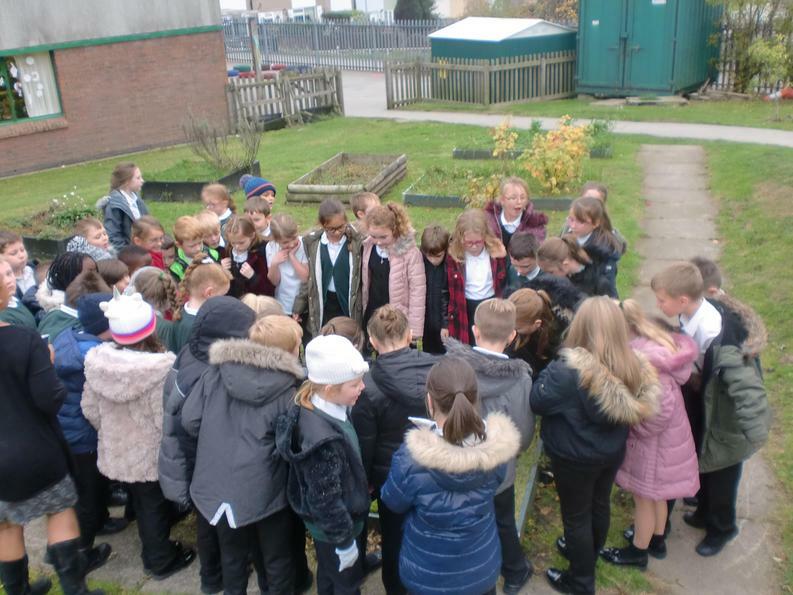 After finding a piece of coal in our time capsule, we wondered whether the coal was a clue about a missing name on our family tree. 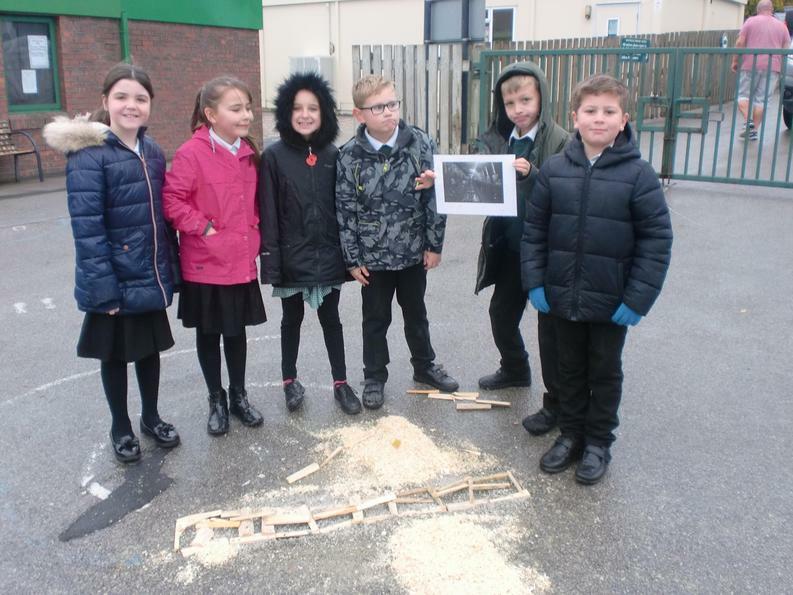 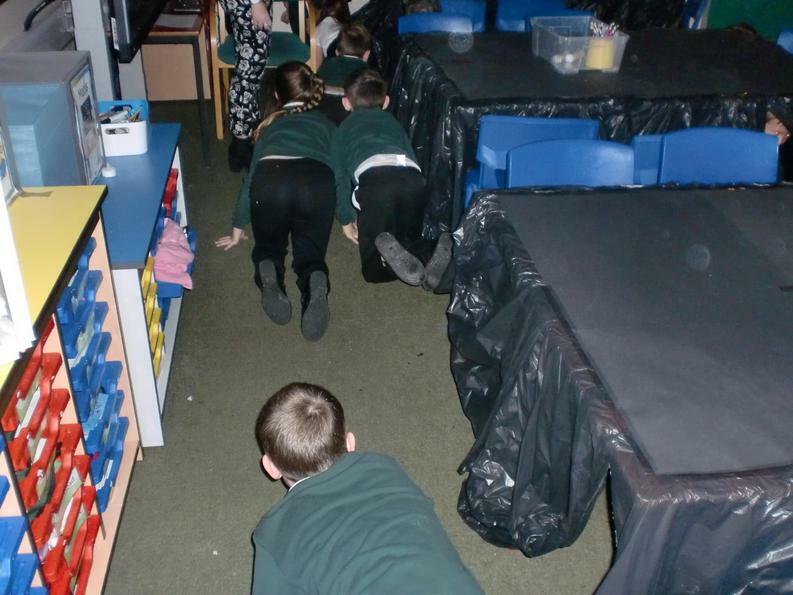 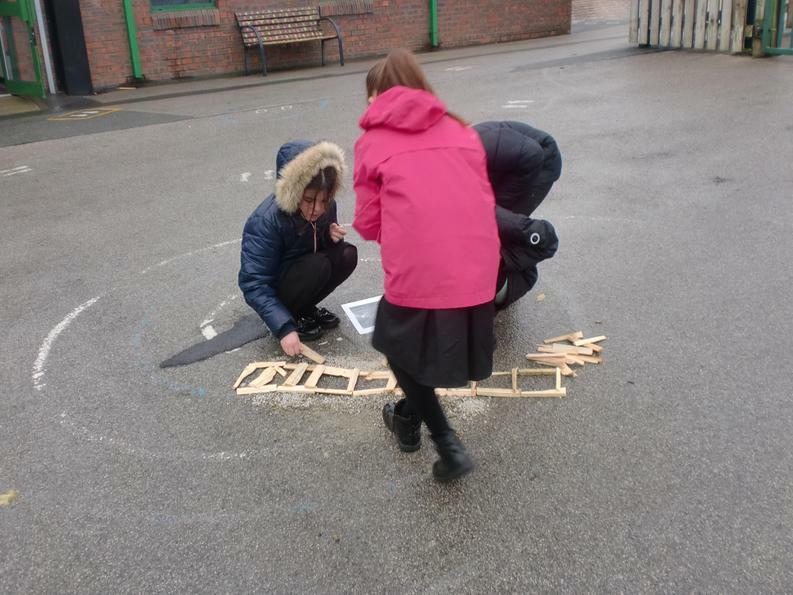 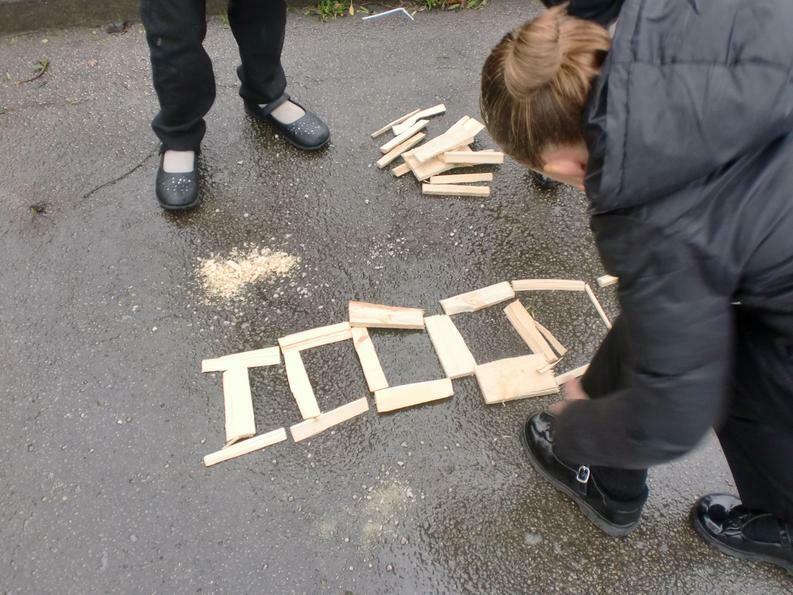 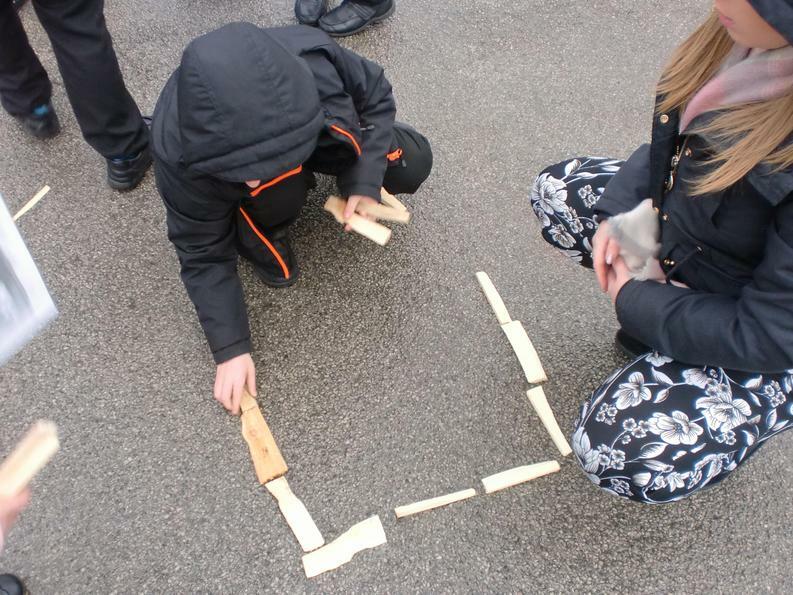 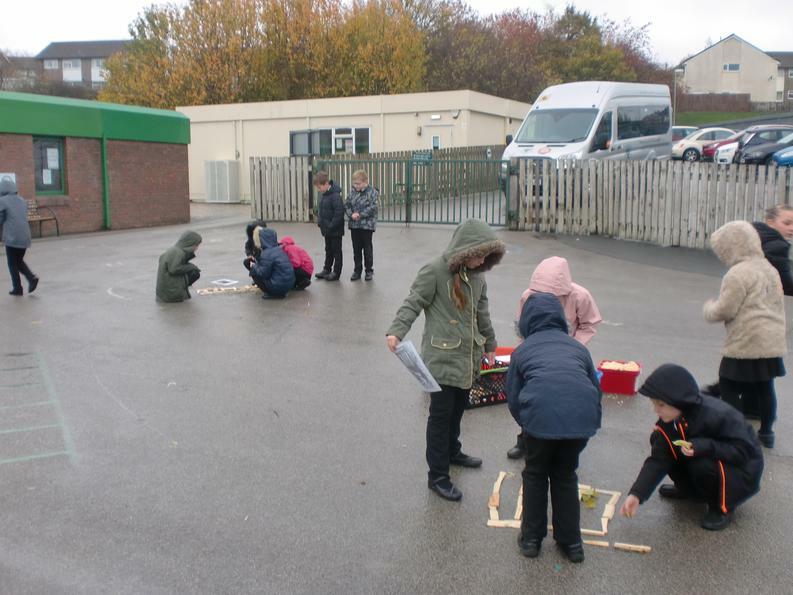 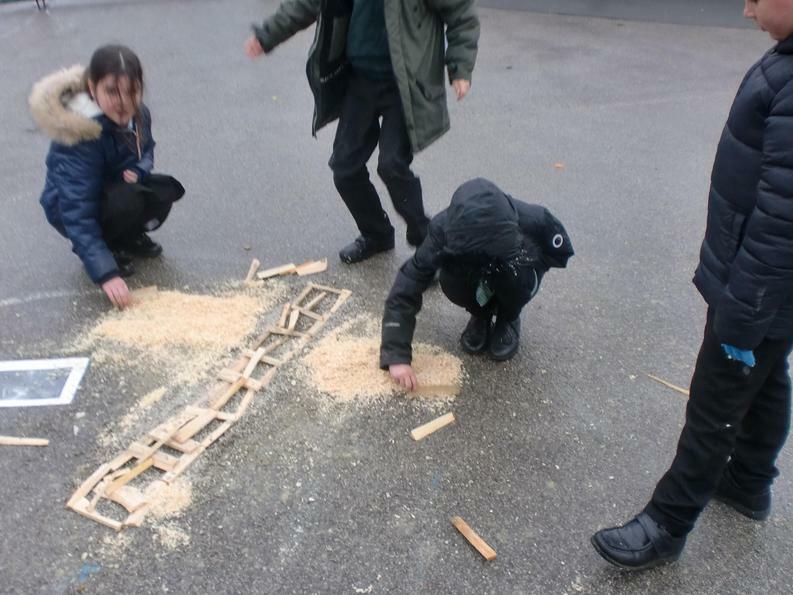 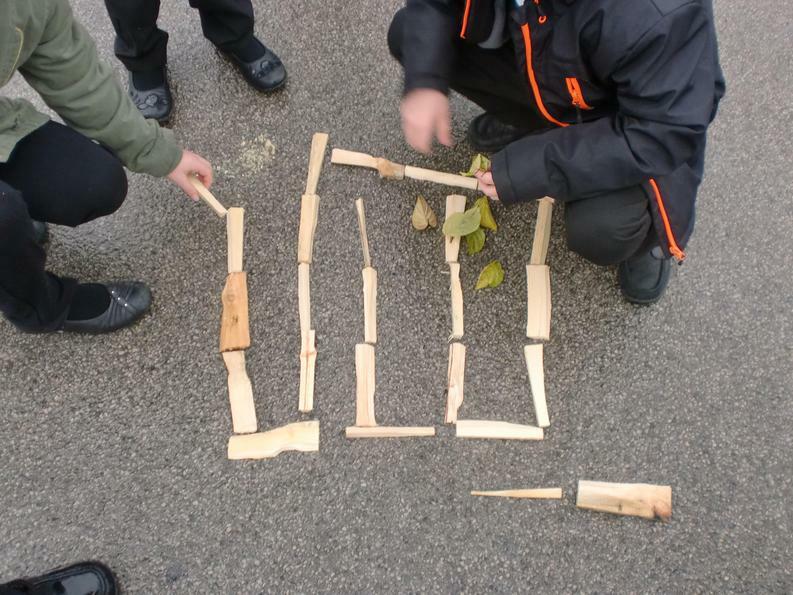 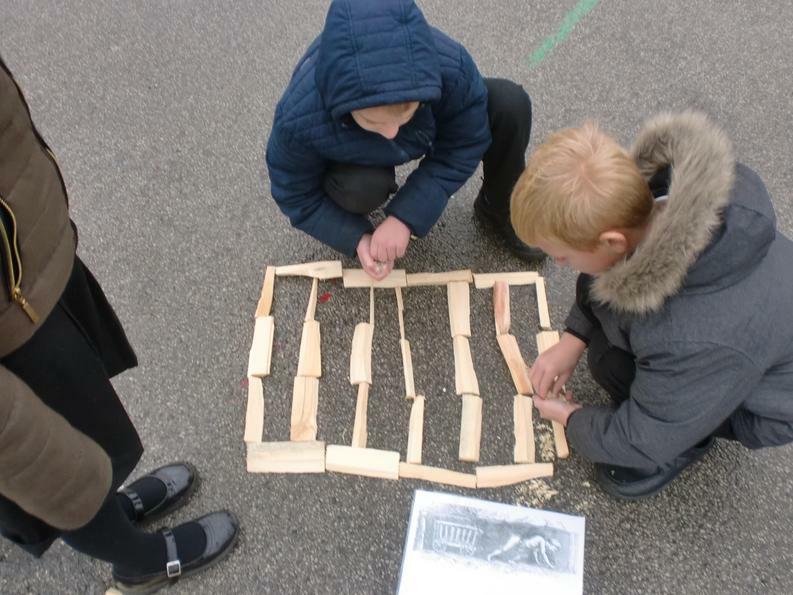 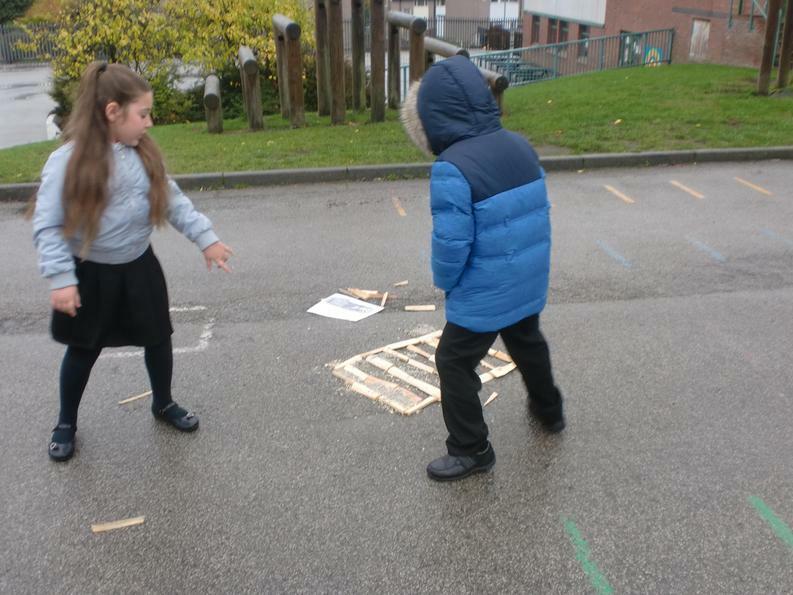 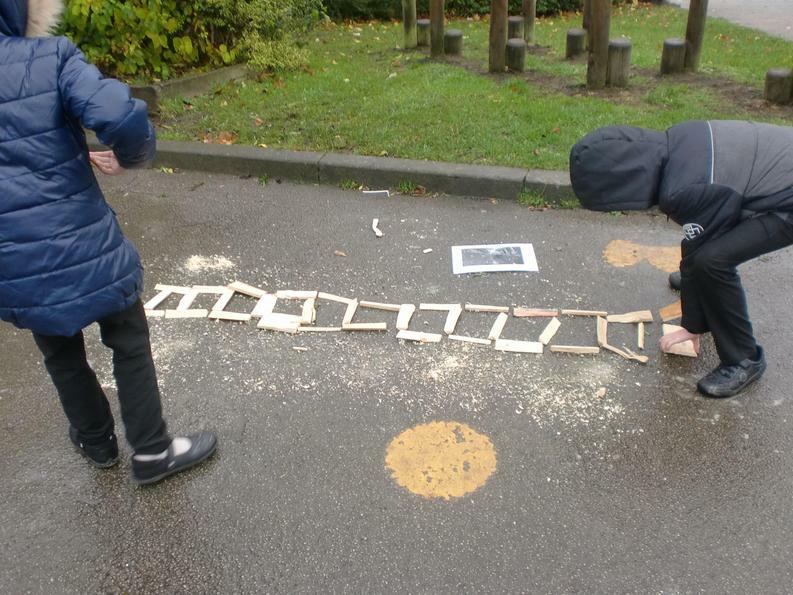 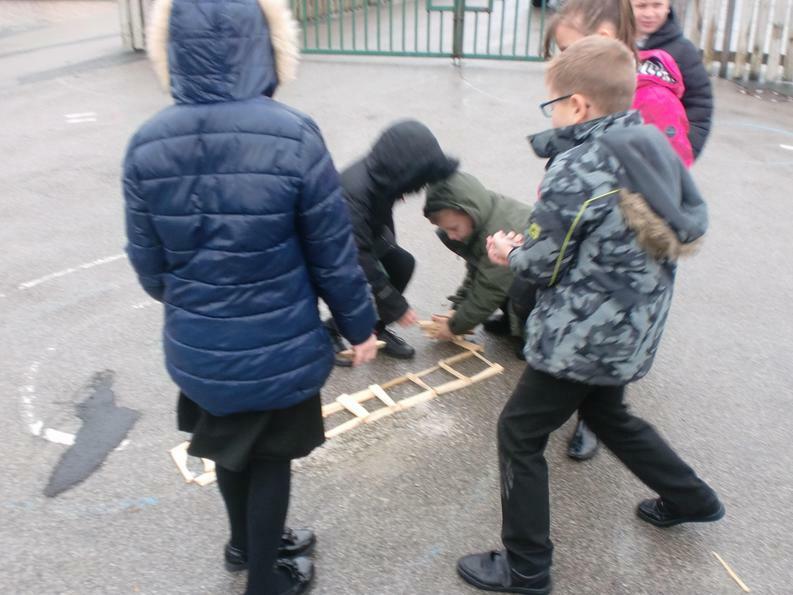 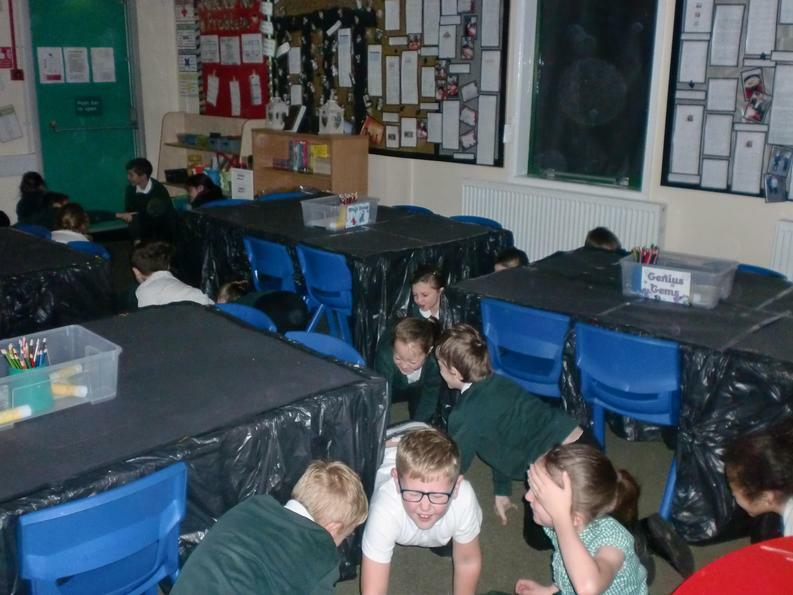 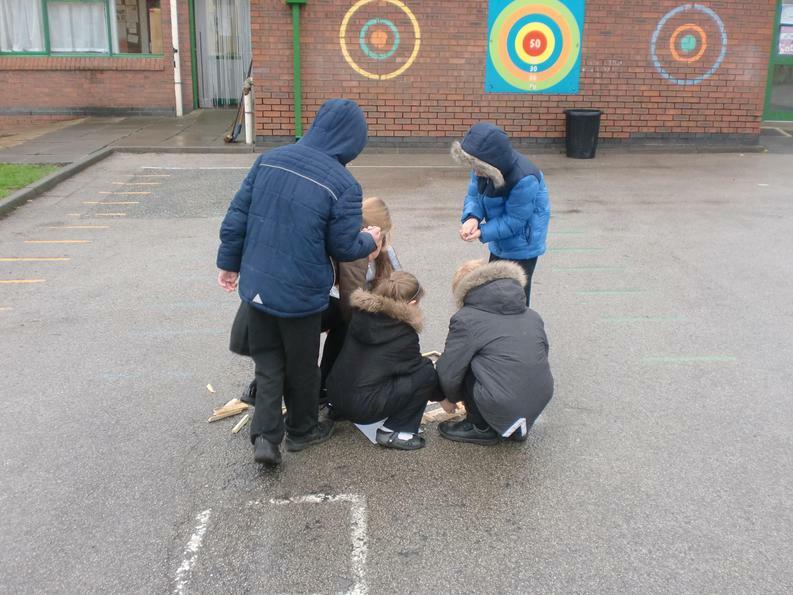 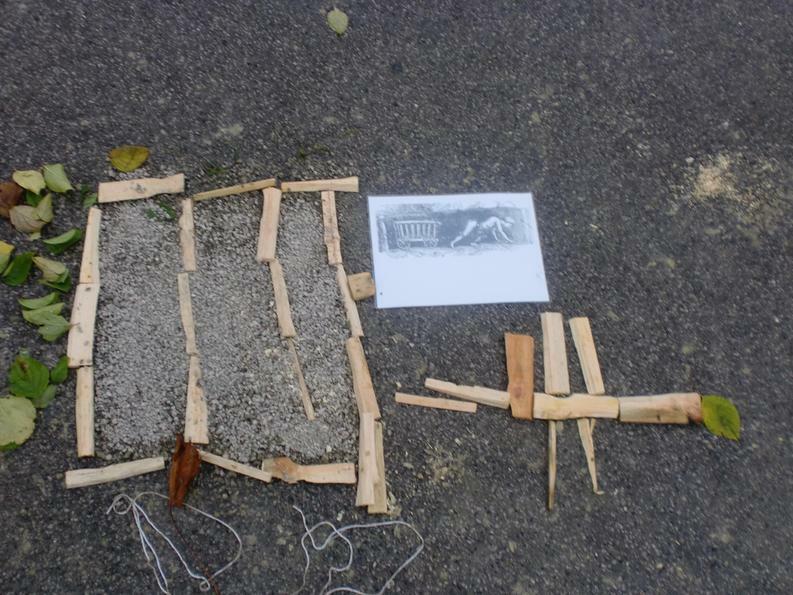 We decided to imagineer going down the coal mines to see if we could find any clues! 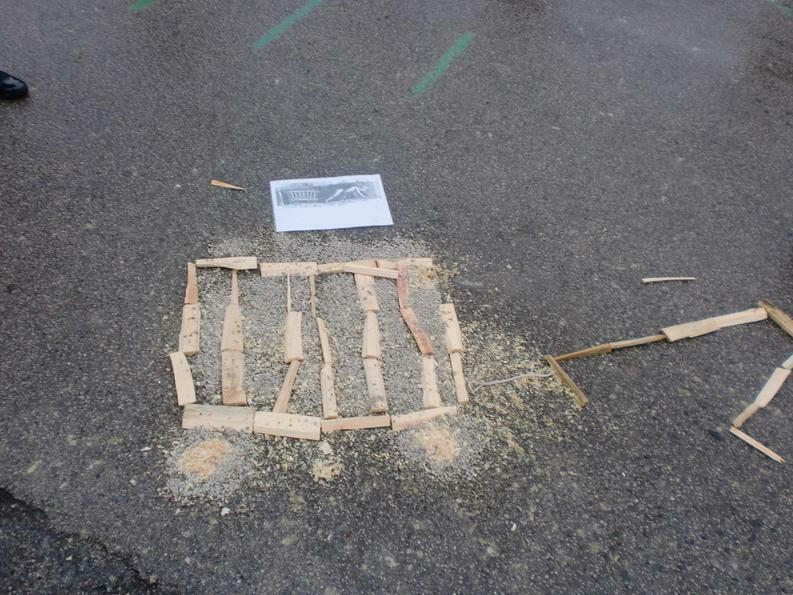 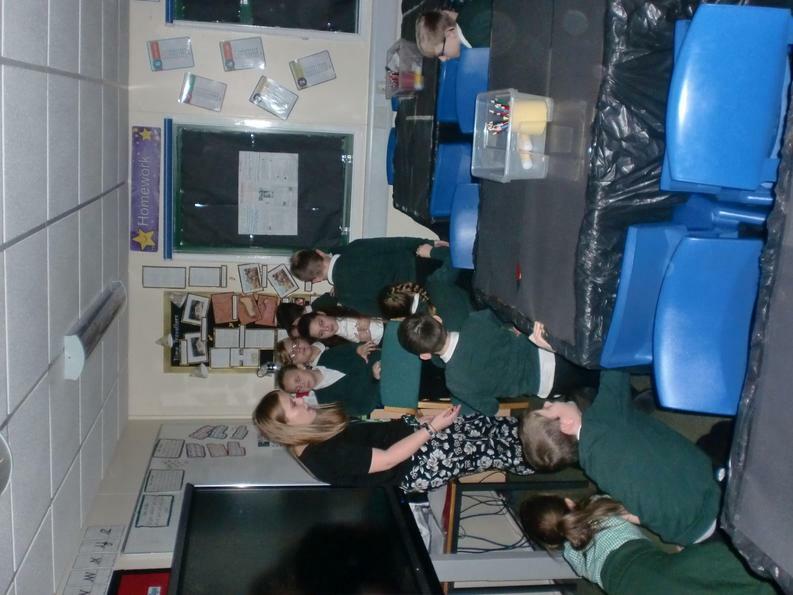 After our Imagineering, we still didn't find out why we had a piece of coal! 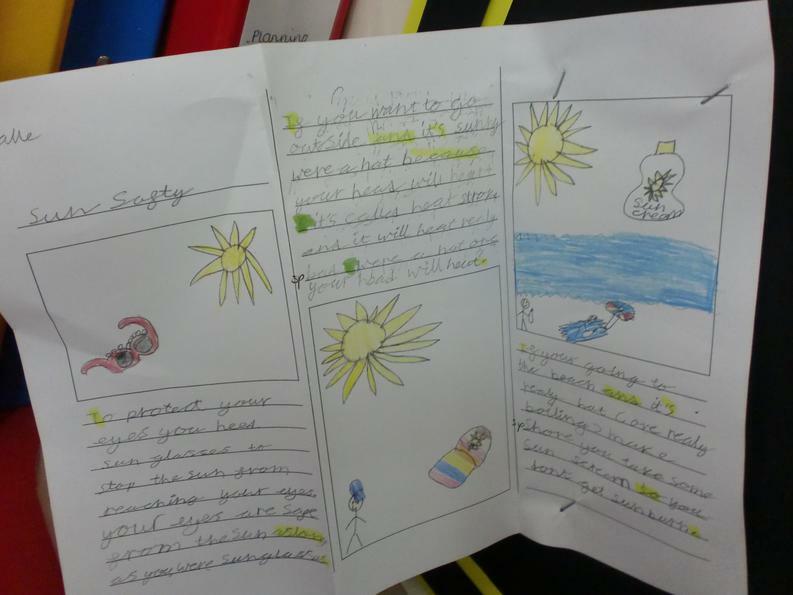 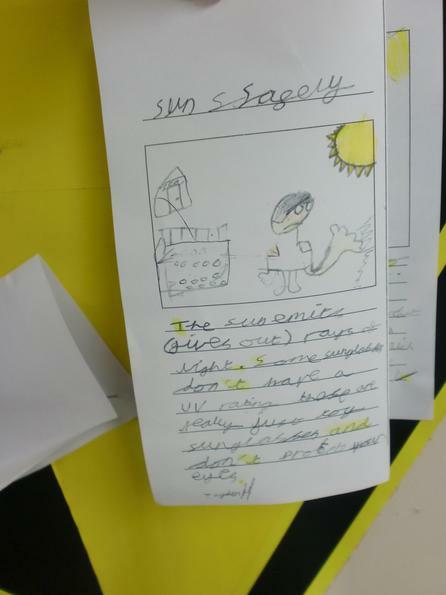 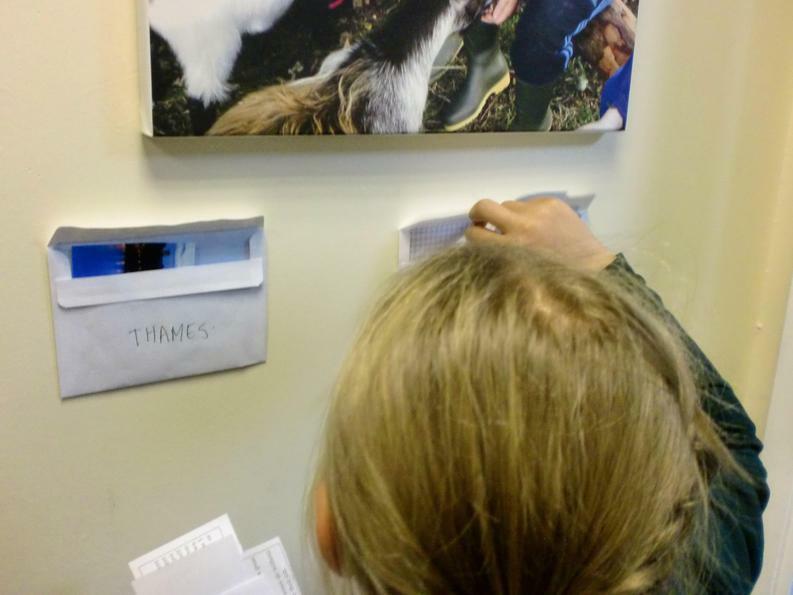 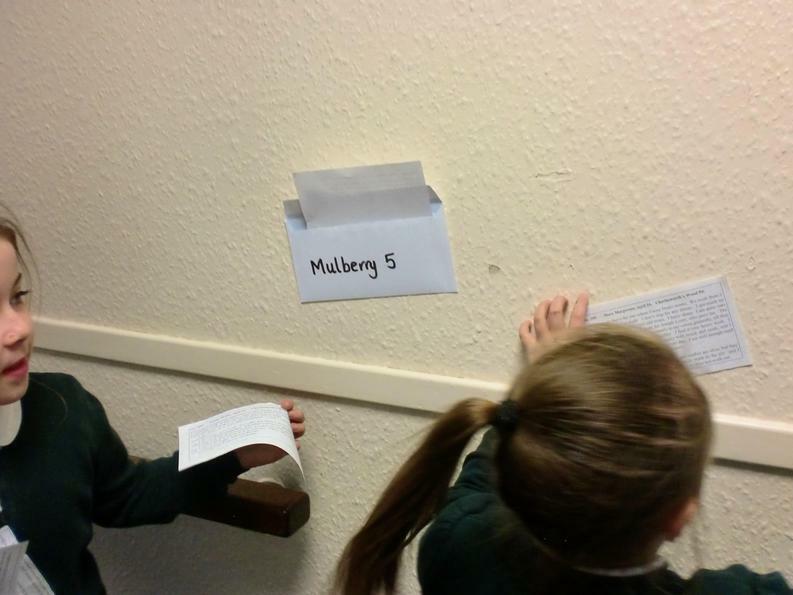 Later that day, we found some diary extracts that had been hidden around school. 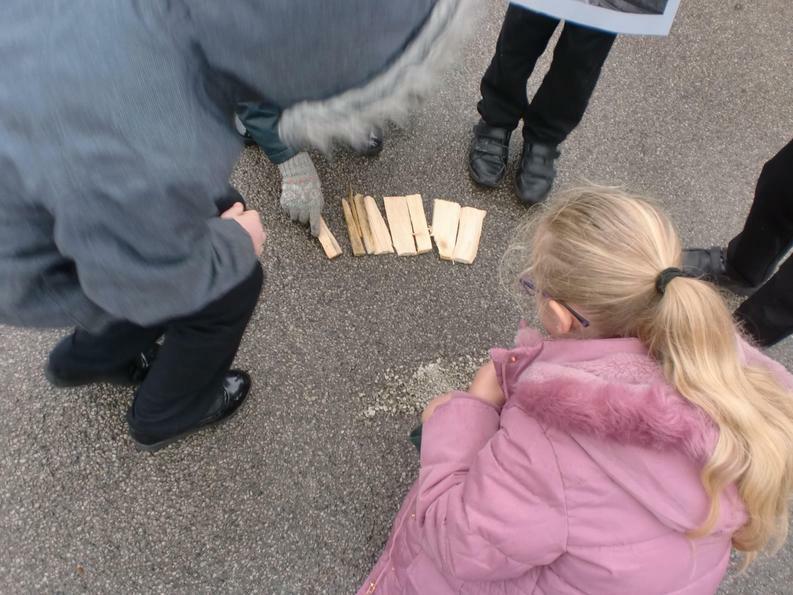 We completed a Burn2Learn to find them. 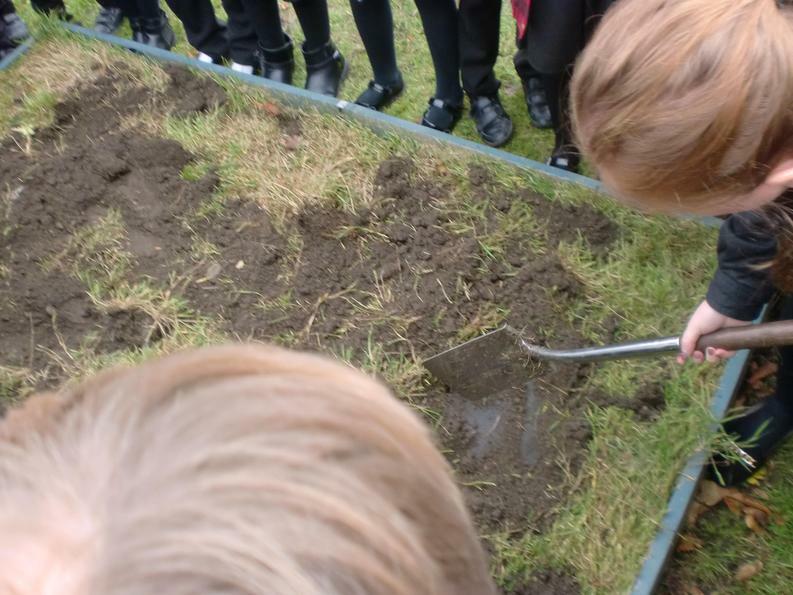 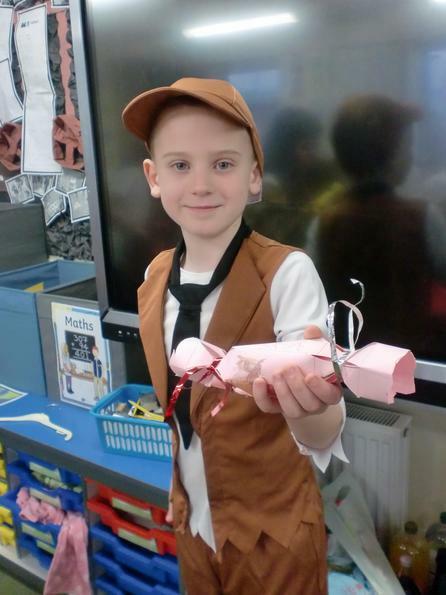 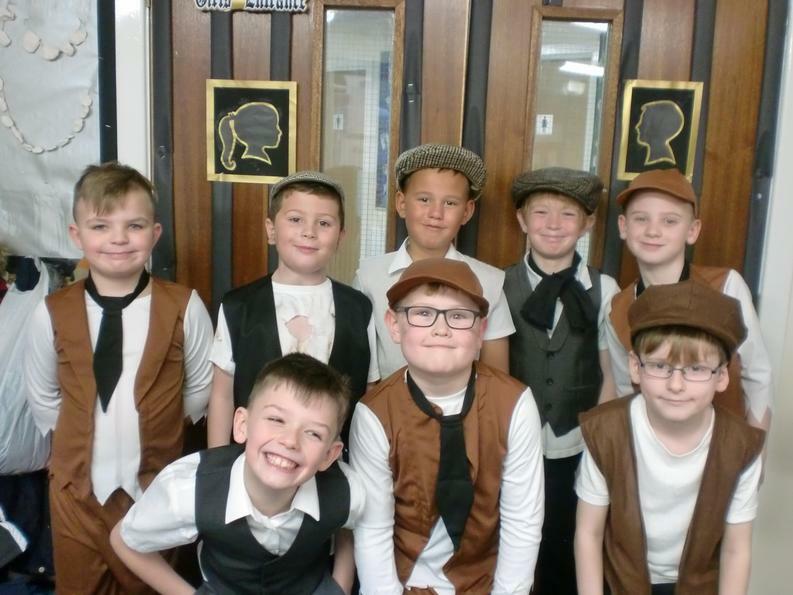 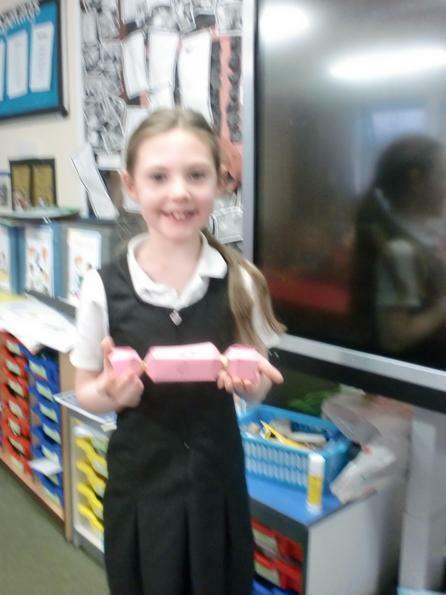 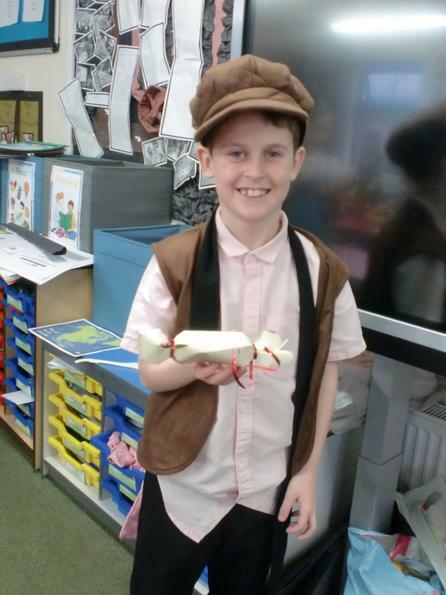 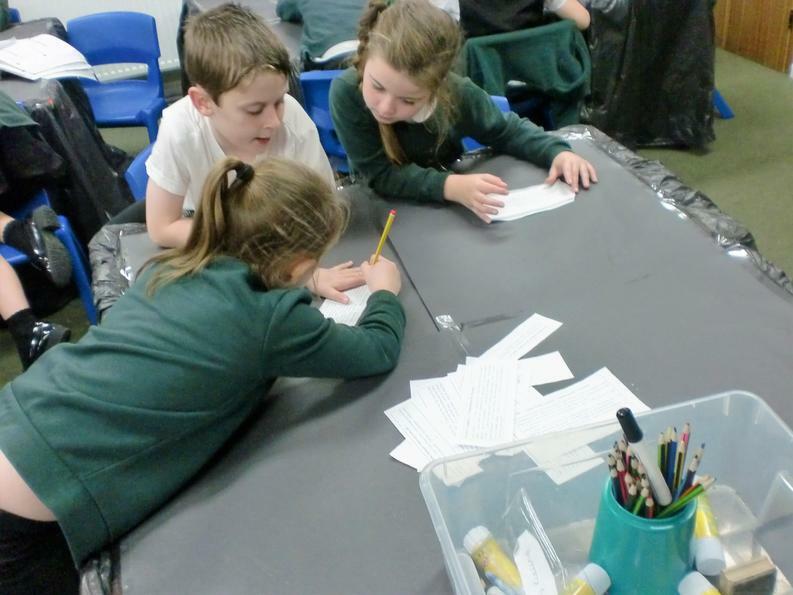 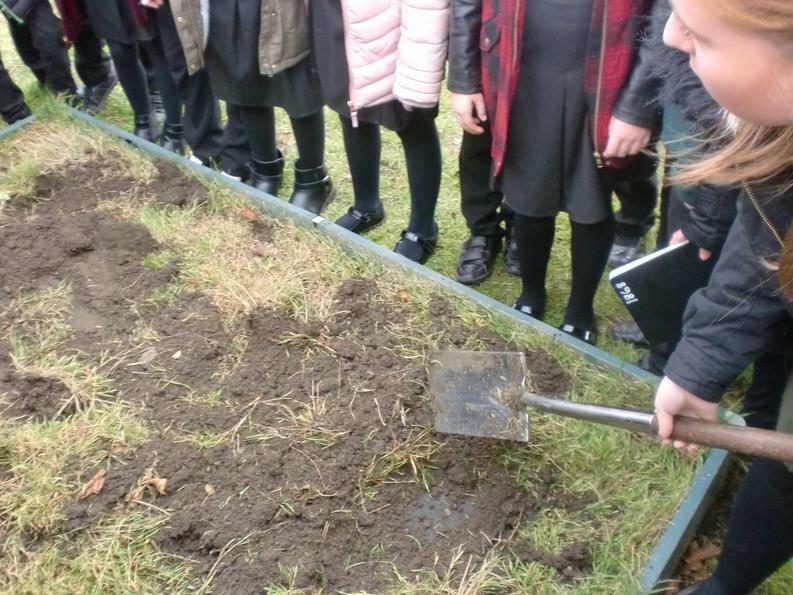 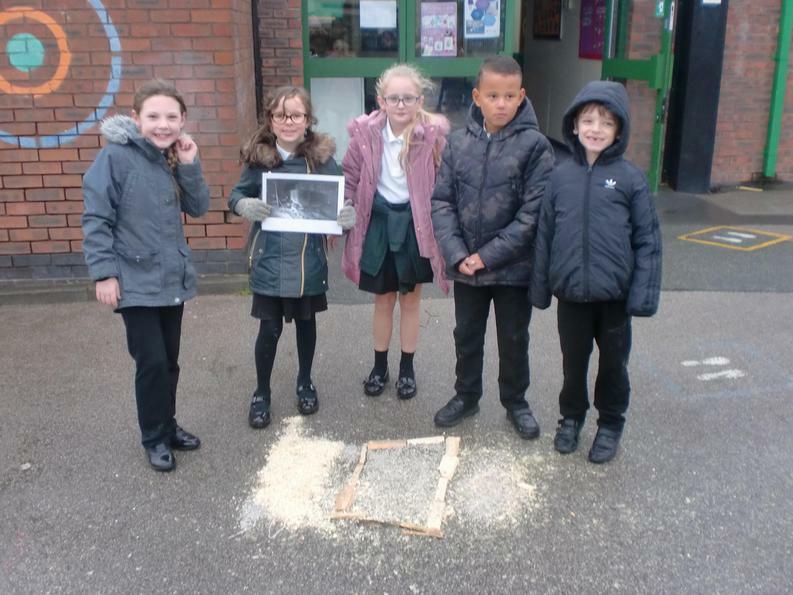 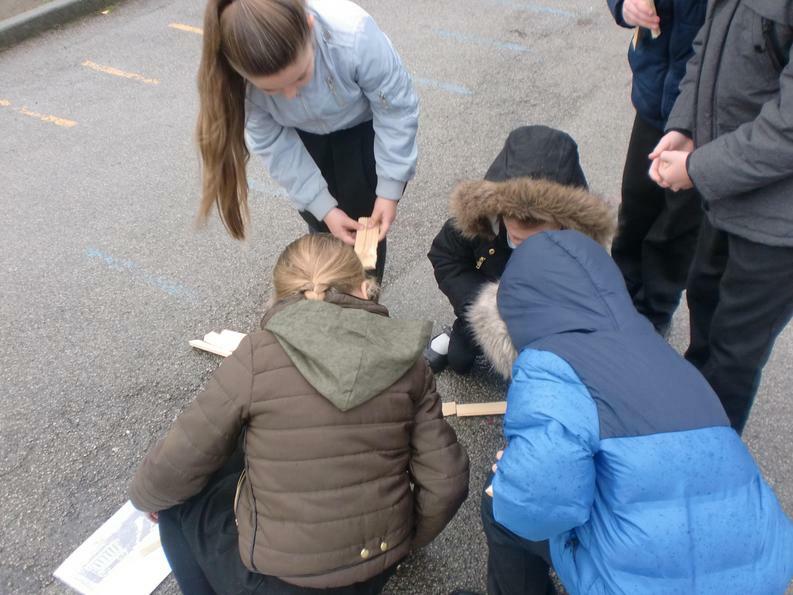 After reading them all, we discovered that Charlotte Smith's dad had worked down the mines and that's why we had a piece of coal in our time capsule! 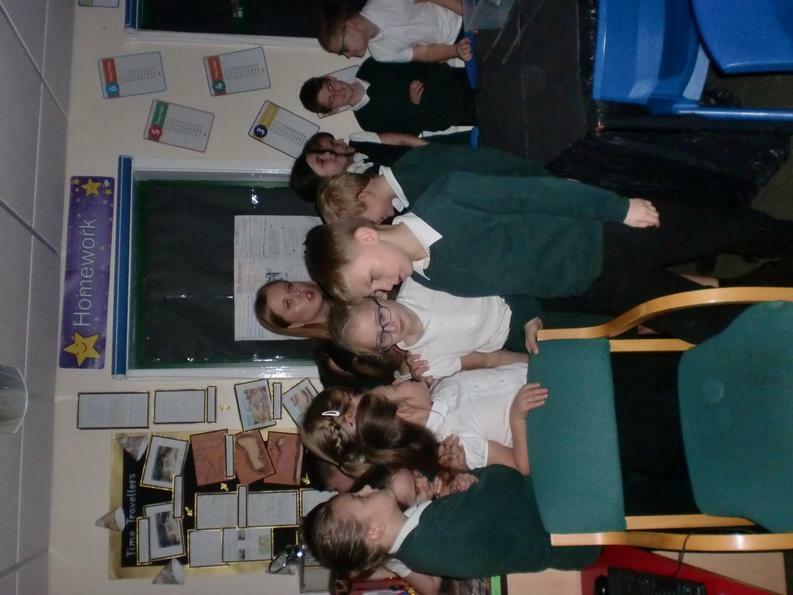 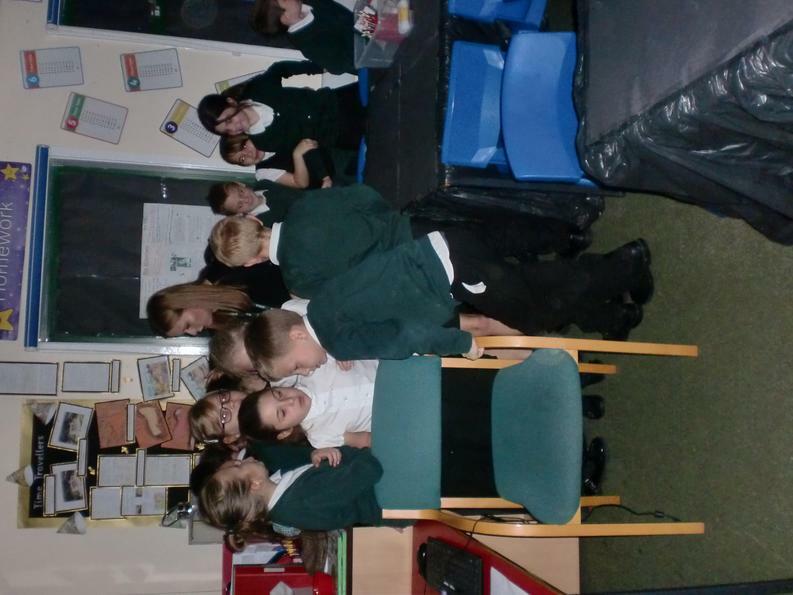 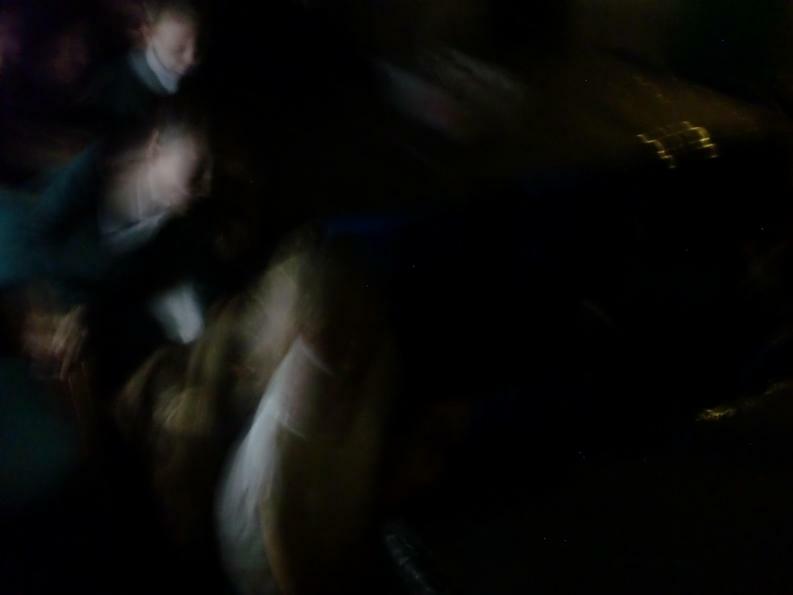 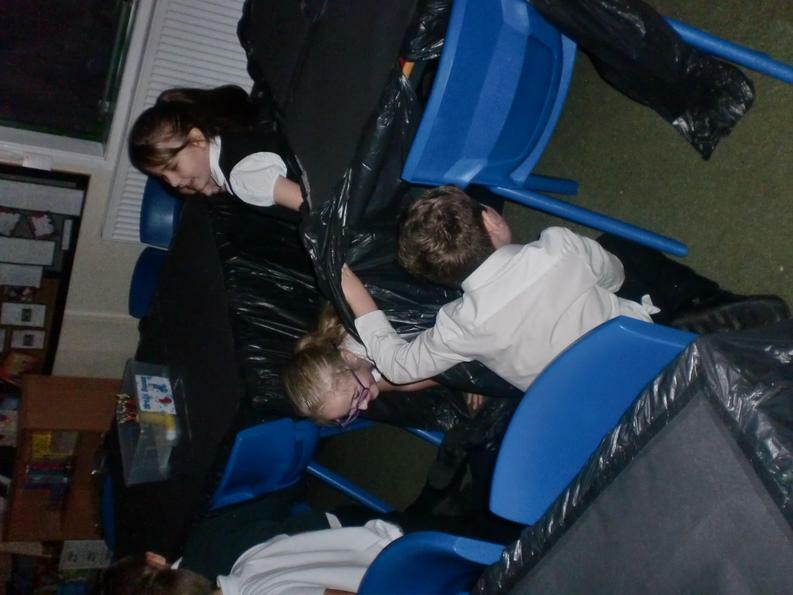 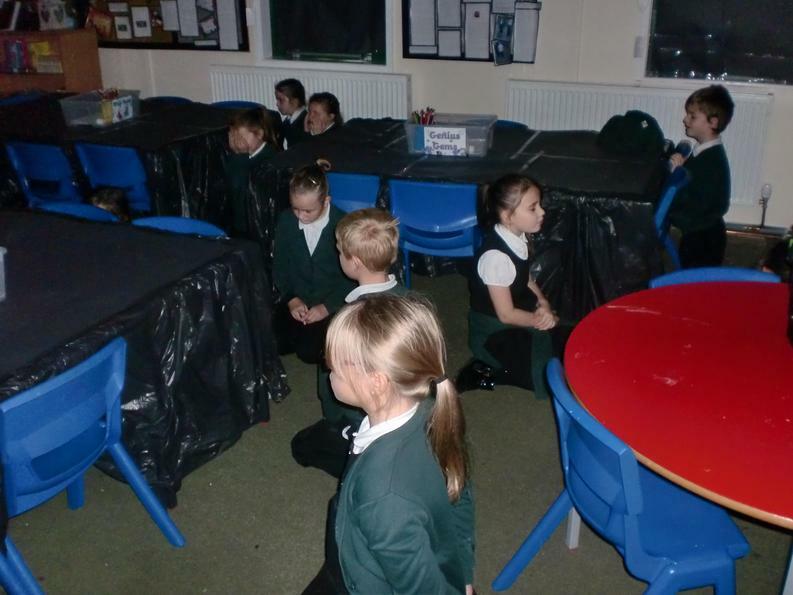 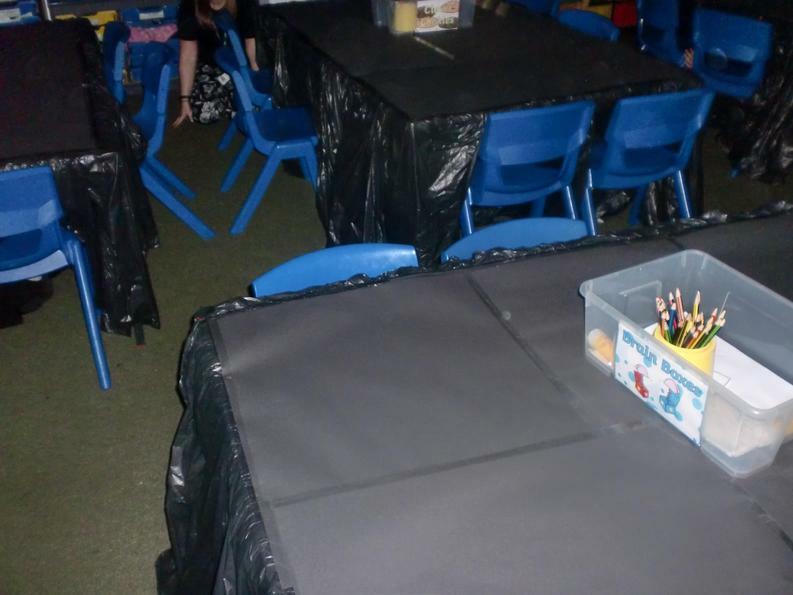 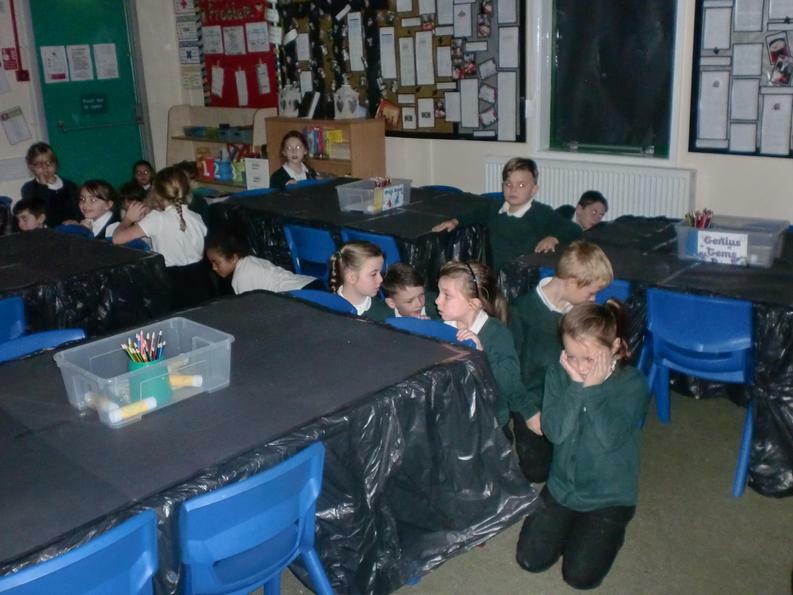 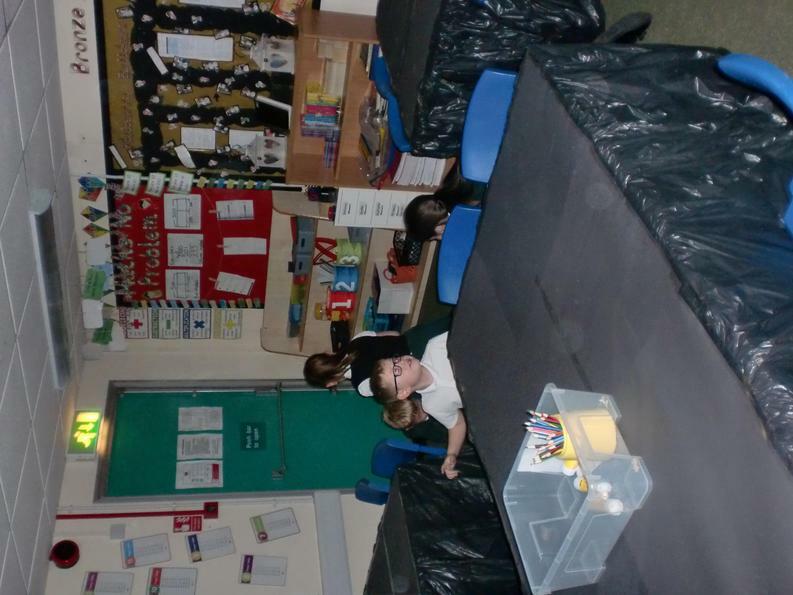 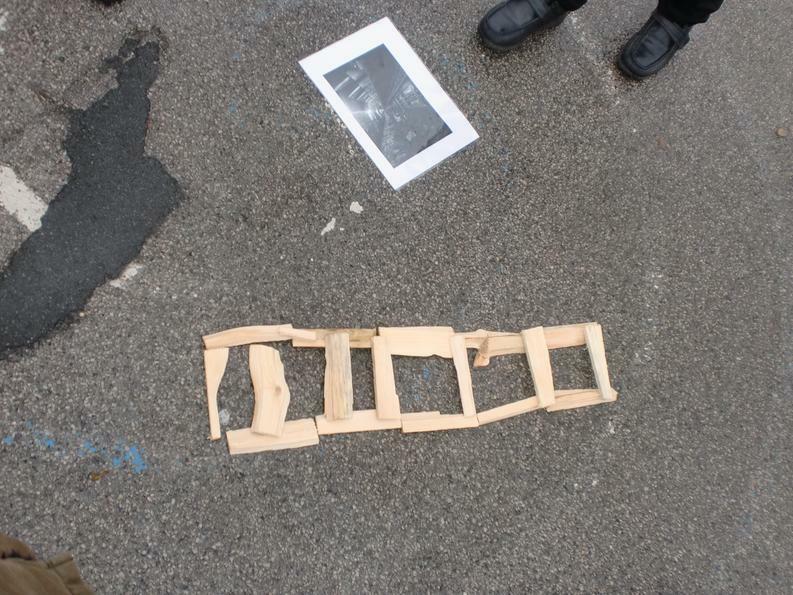 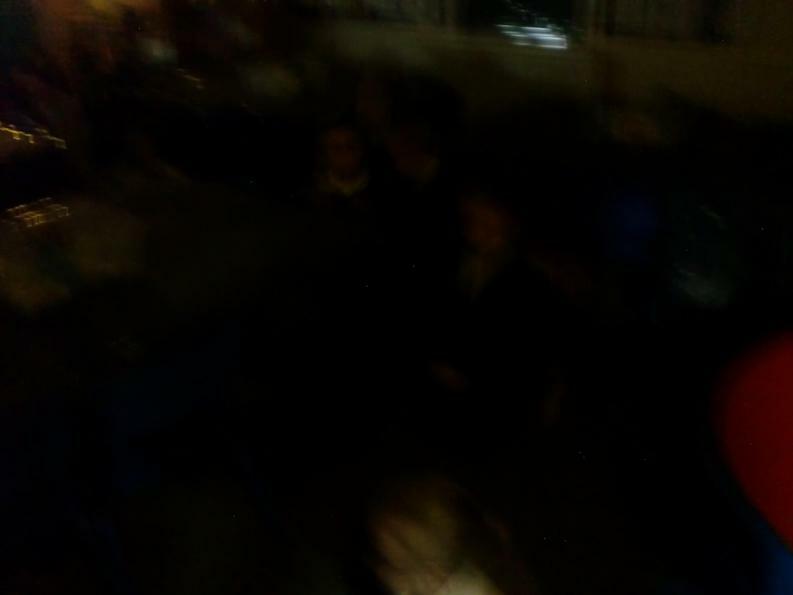 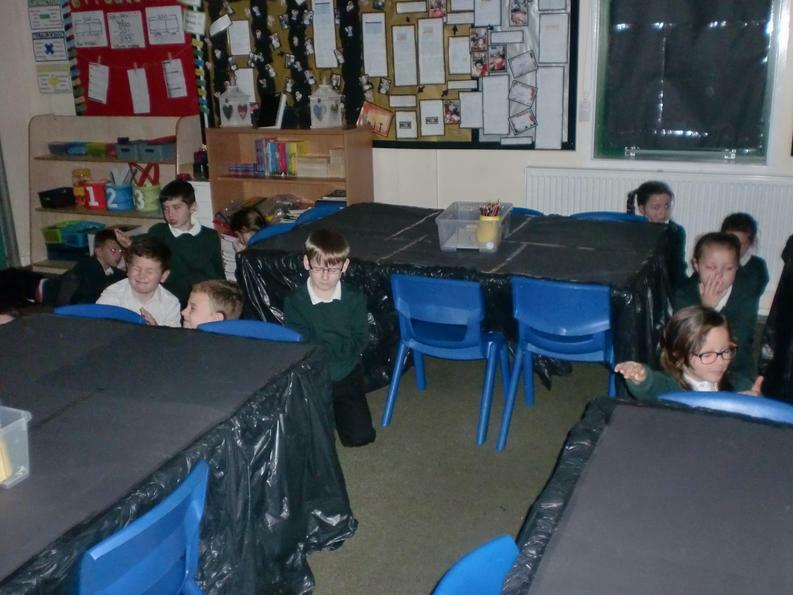 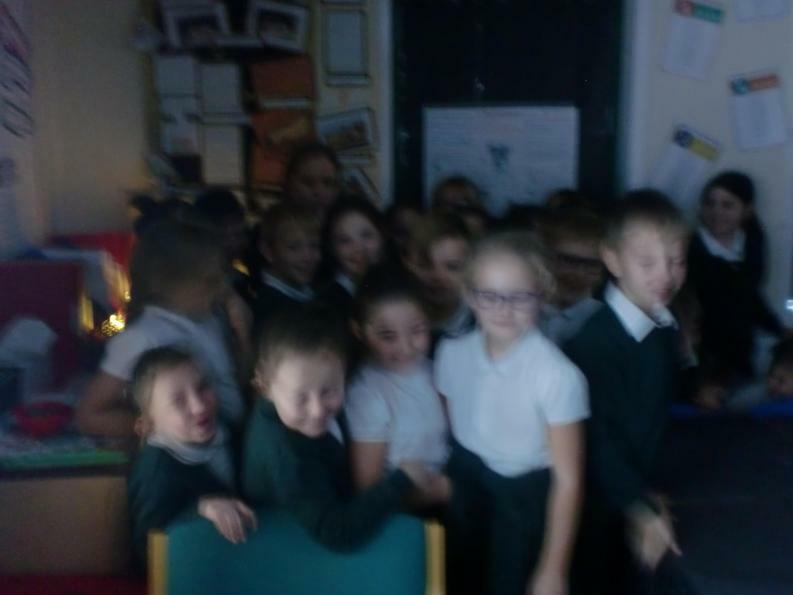 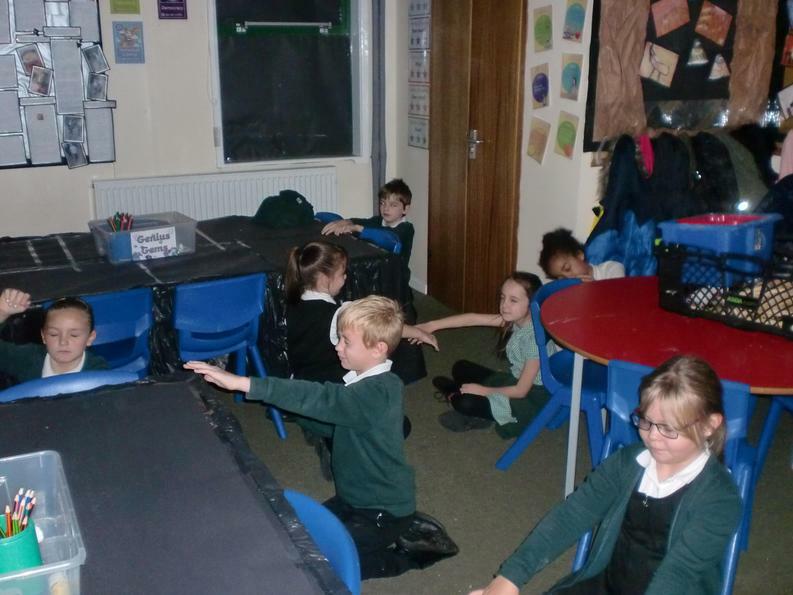 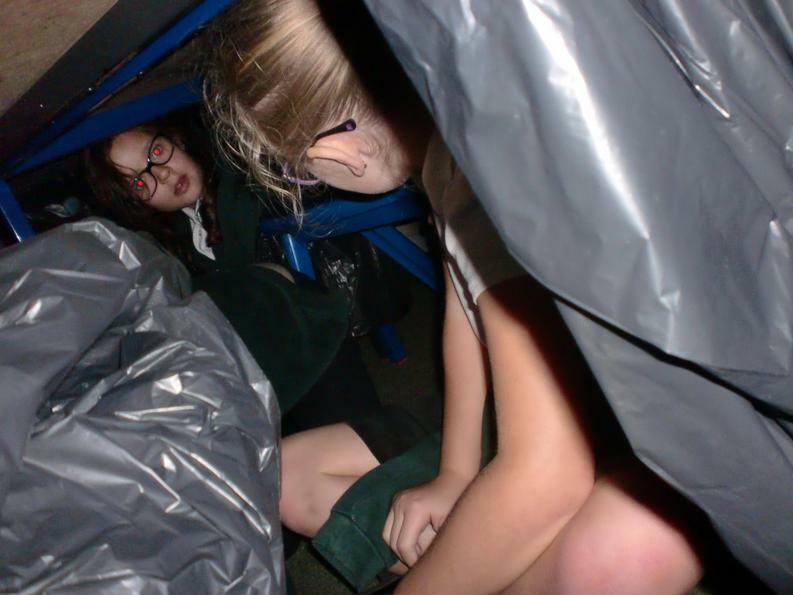 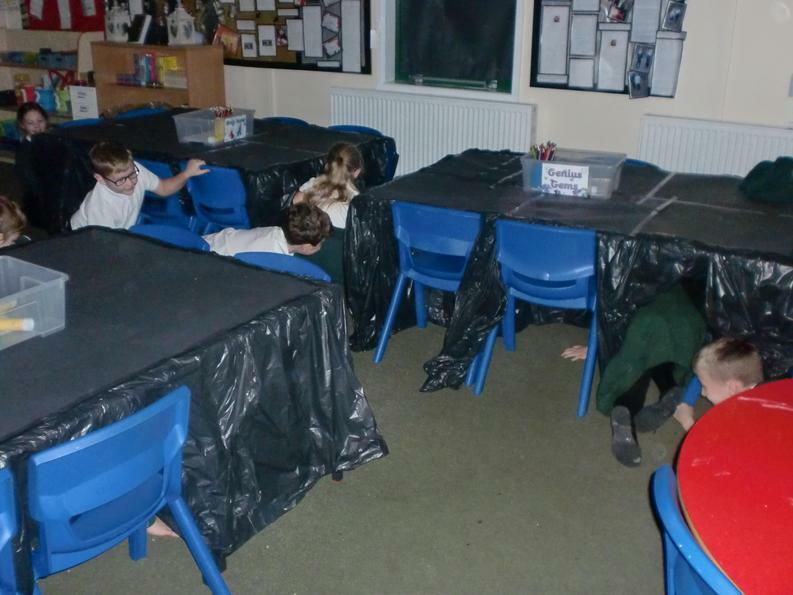 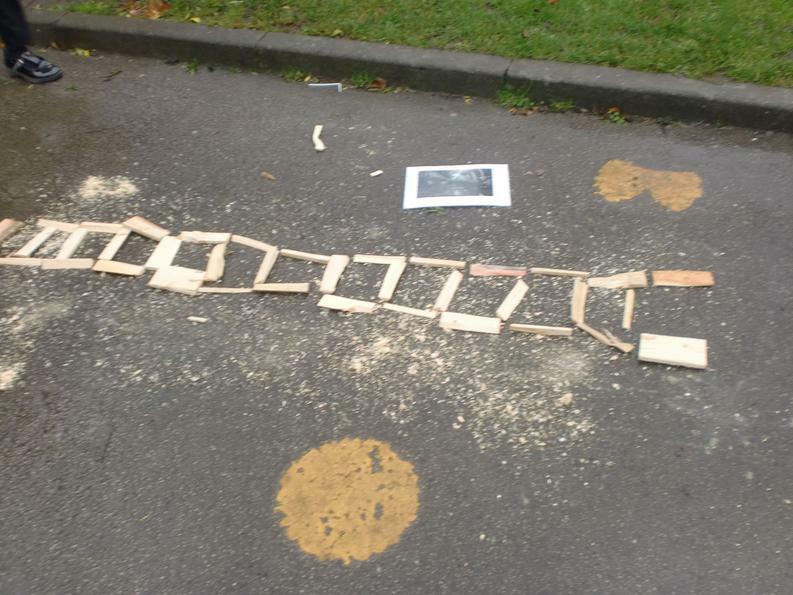 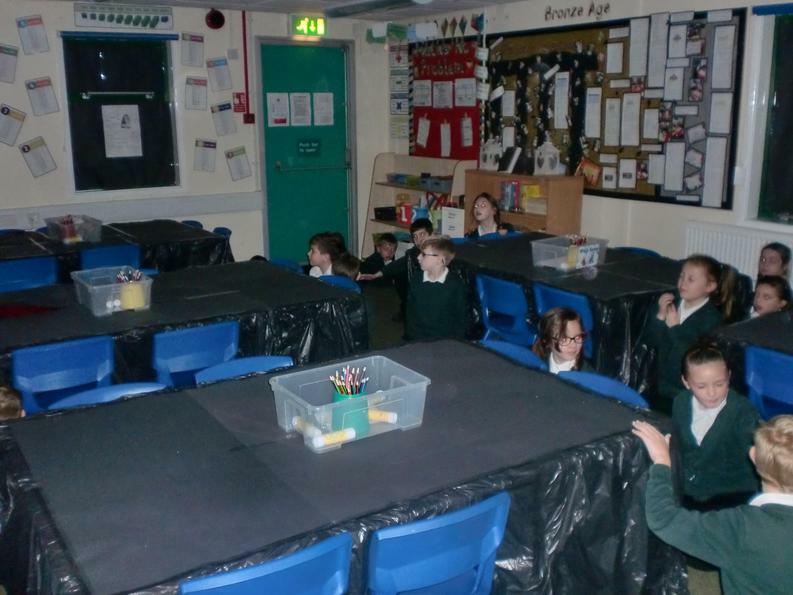 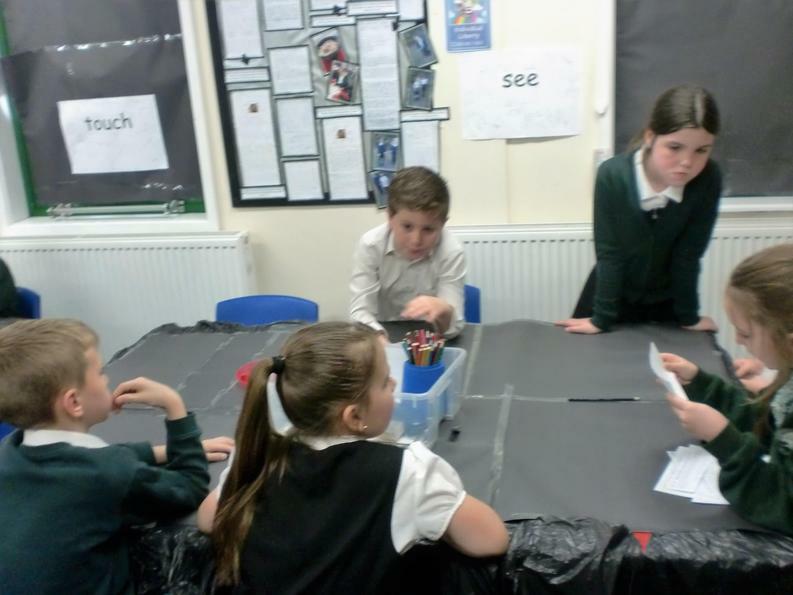 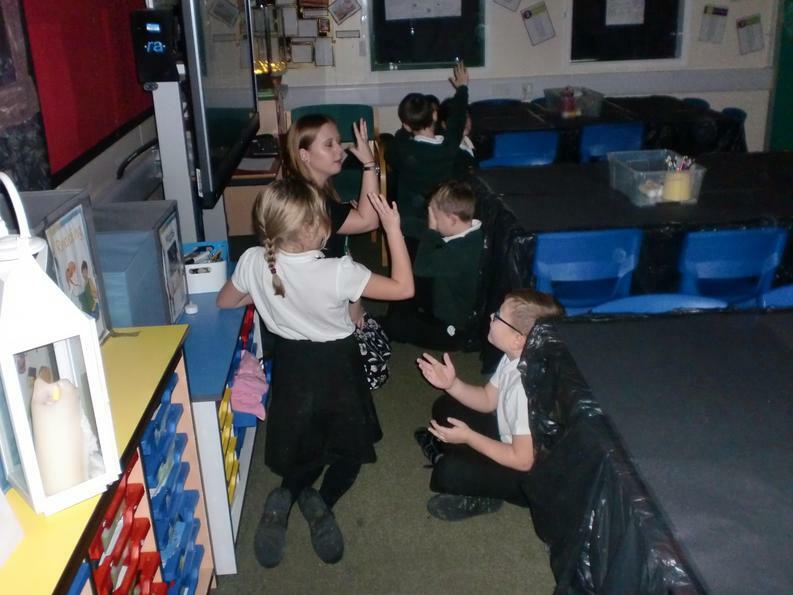 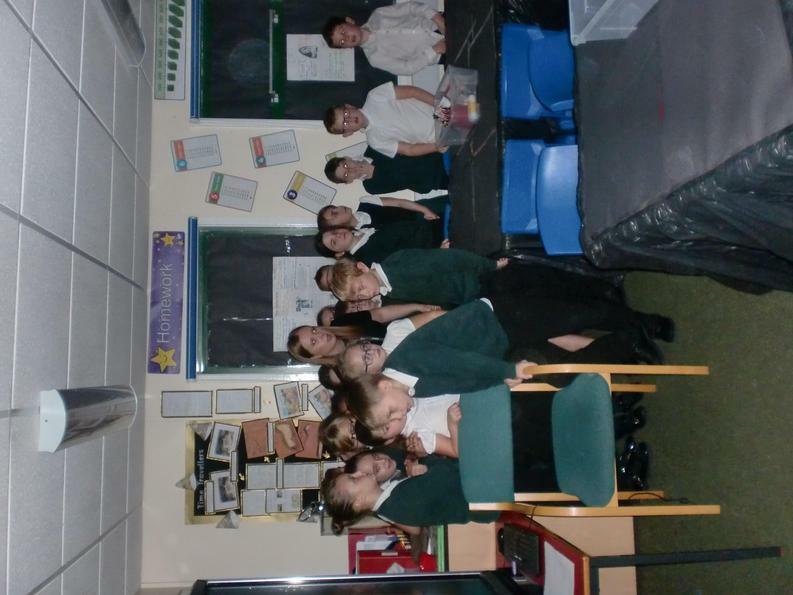 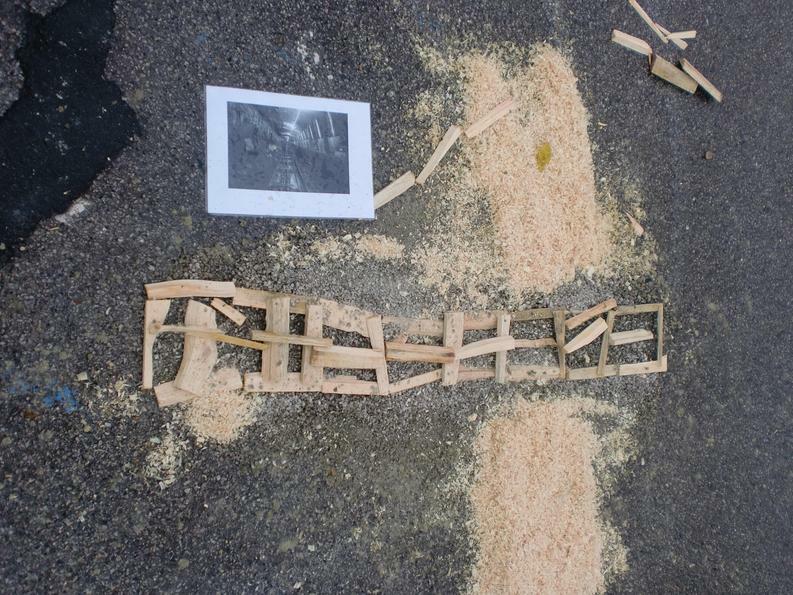 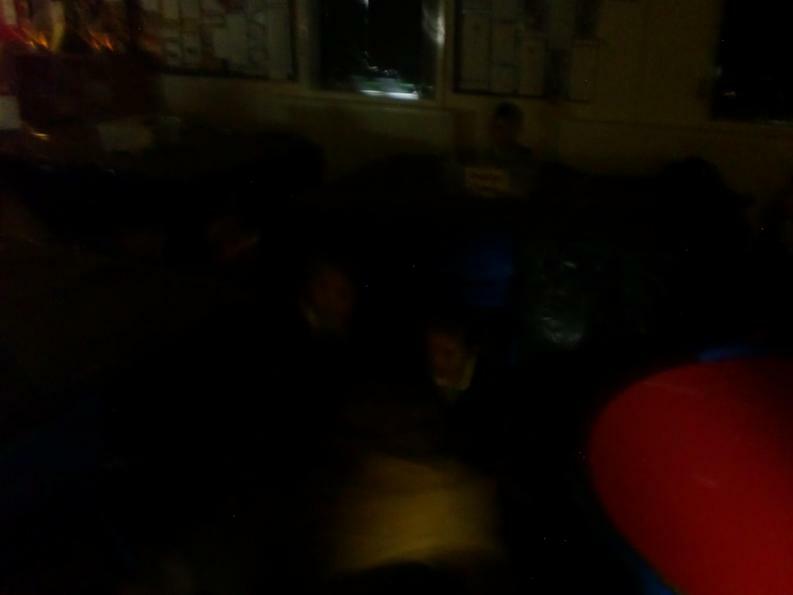 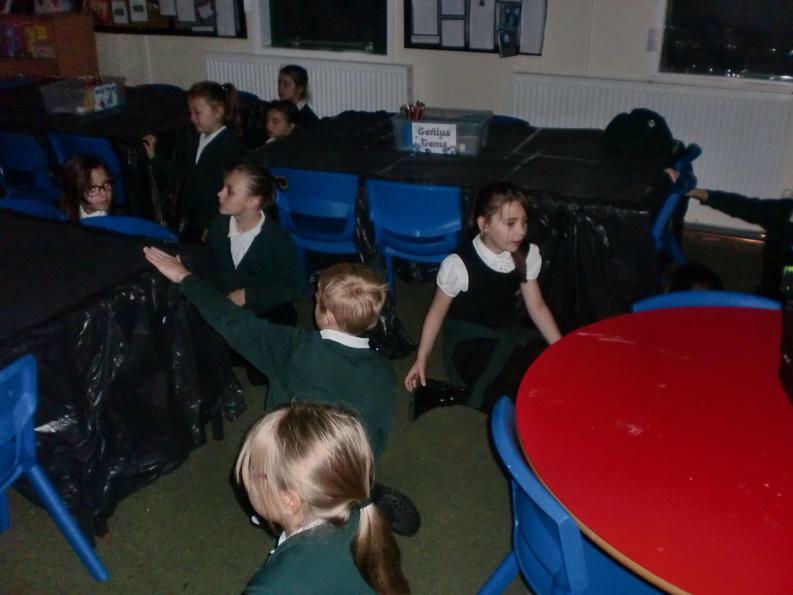 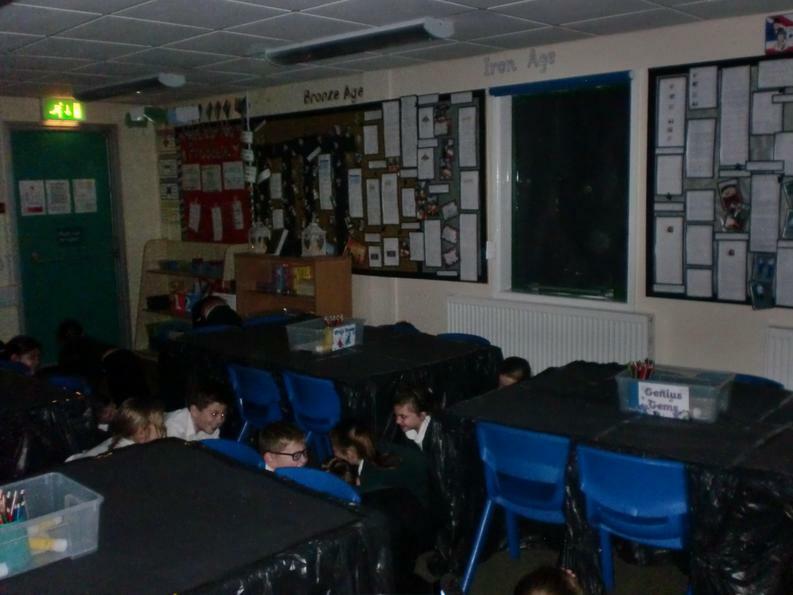 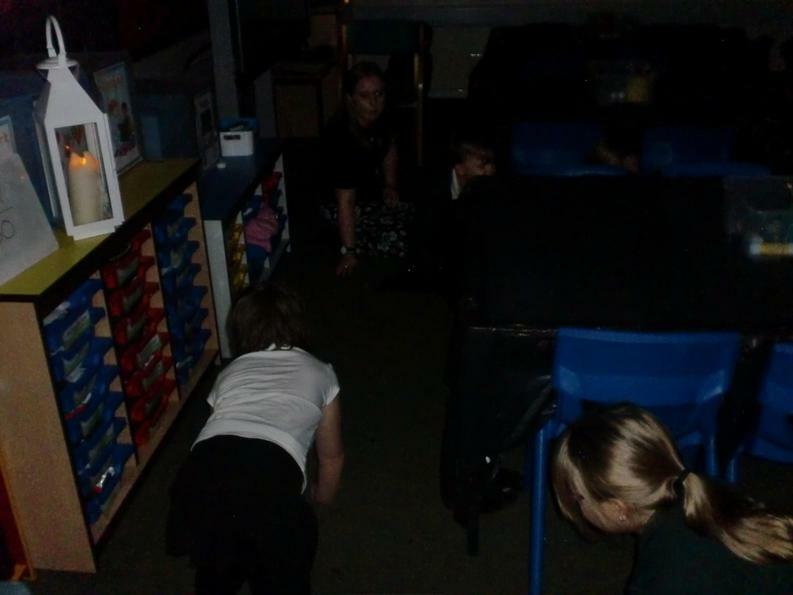 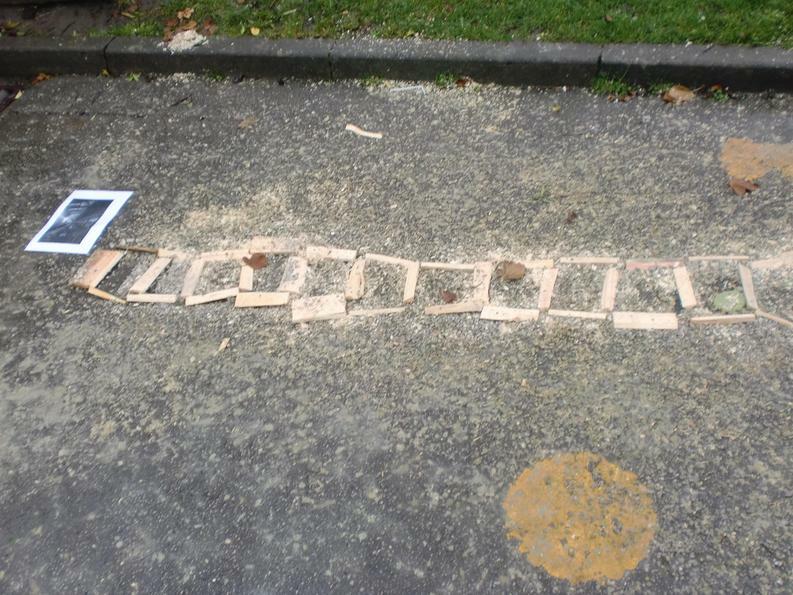 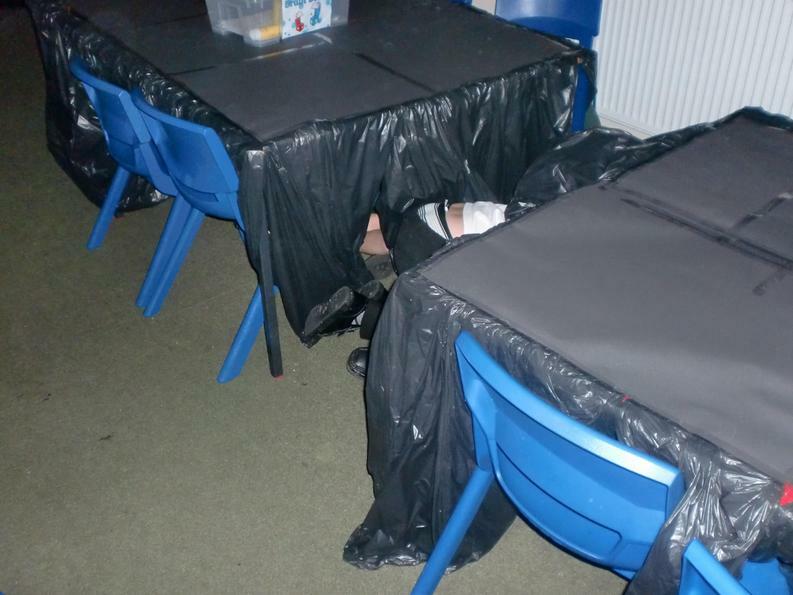 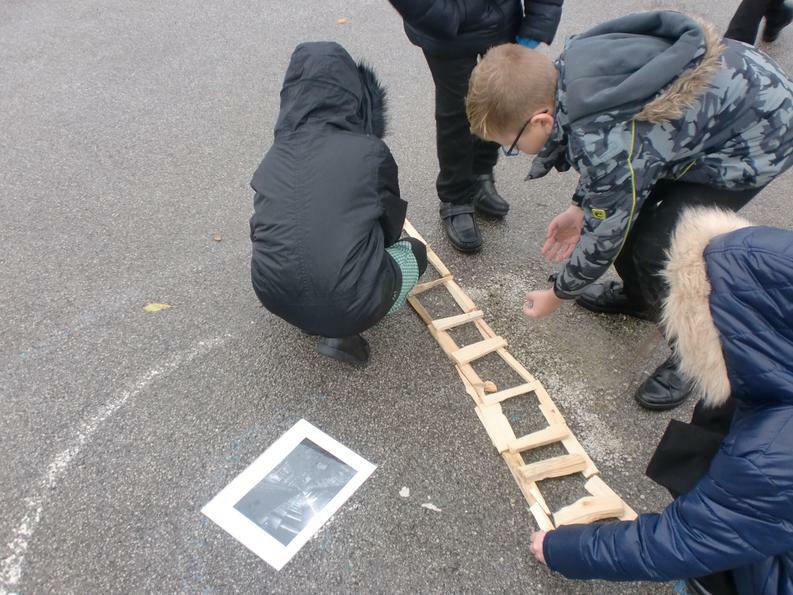 After imagineering what it was like down the coal mines, we realised how dark it was and how much we rely upon light! 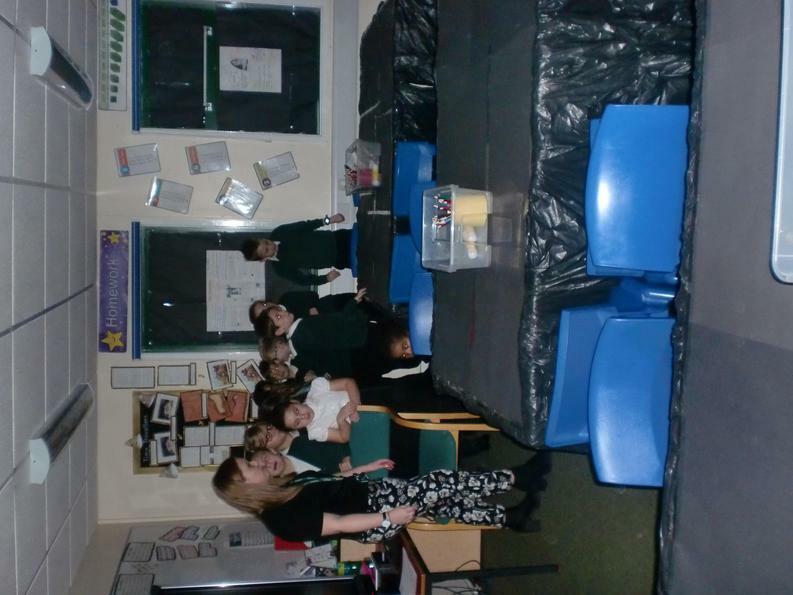 We completed some science experiments, learning all about where light comes from. 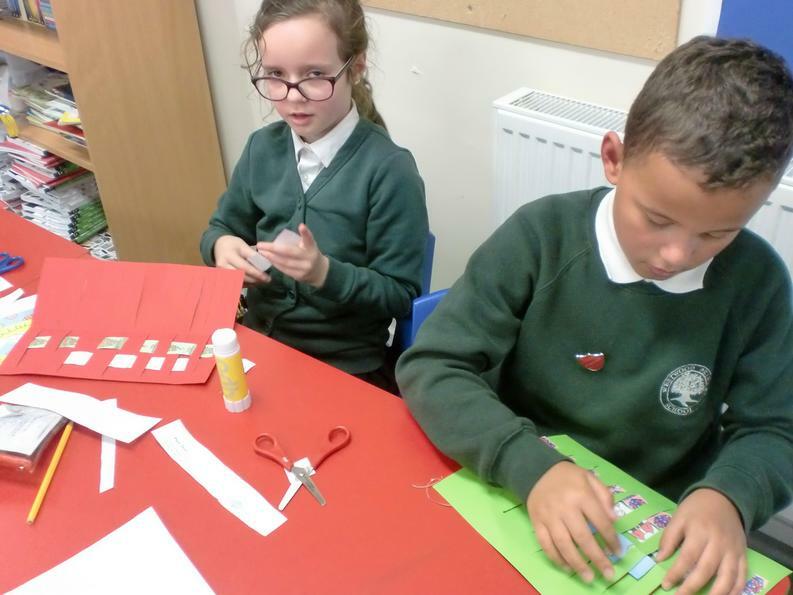 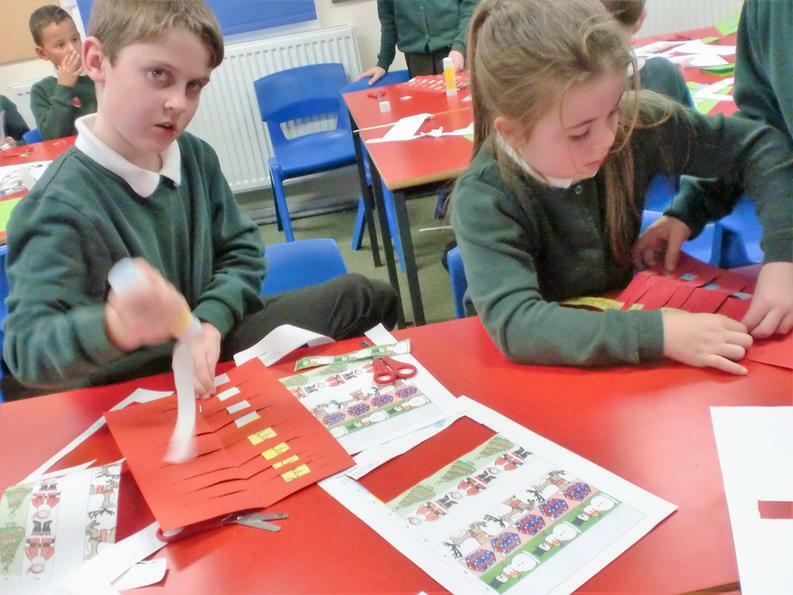 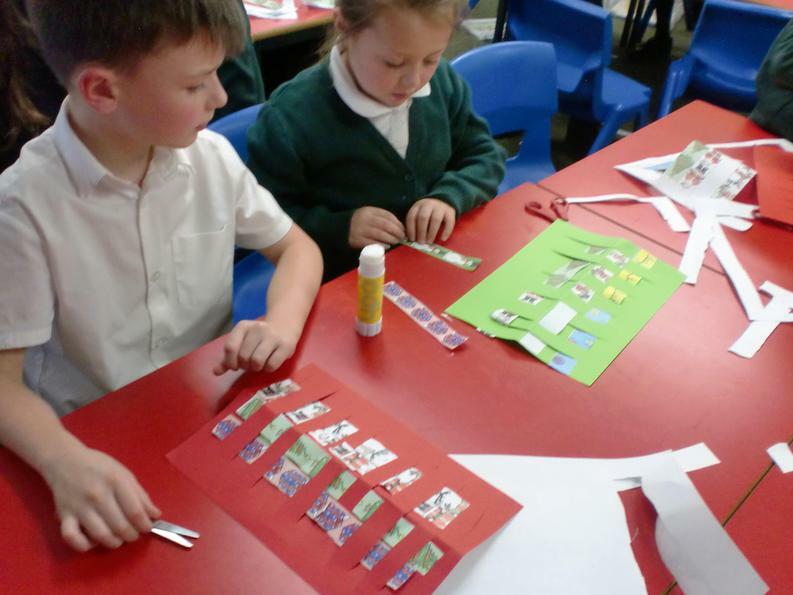 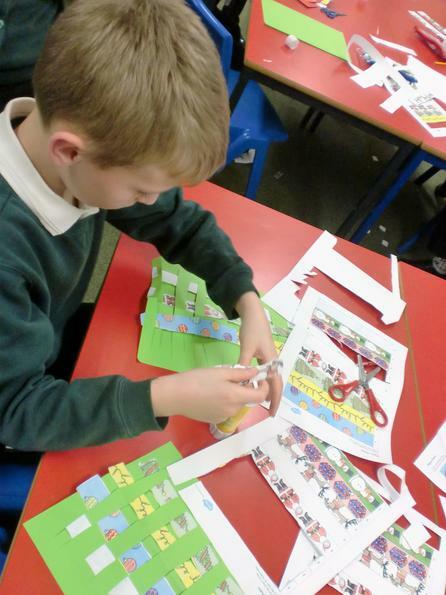 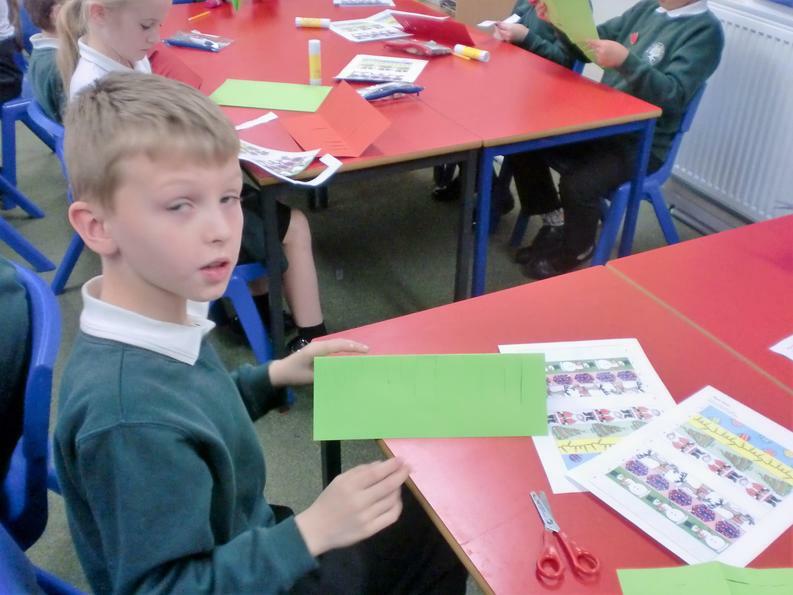 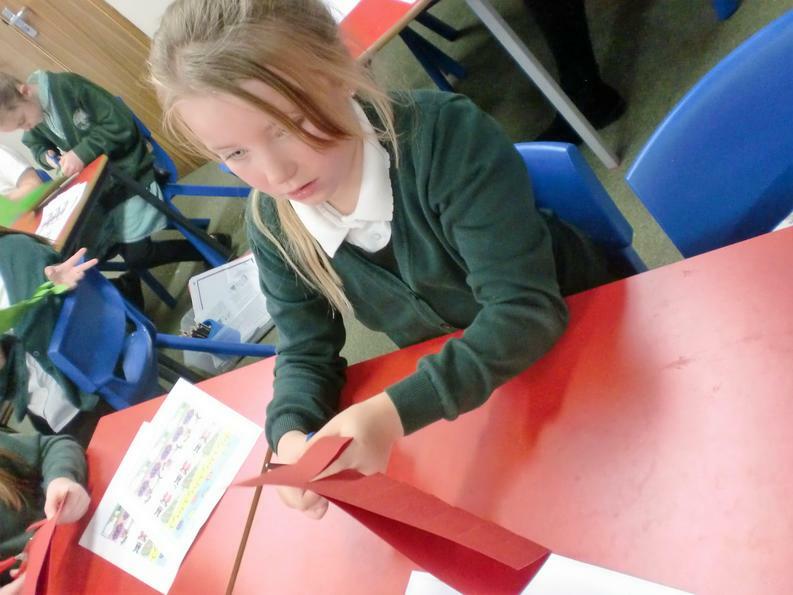 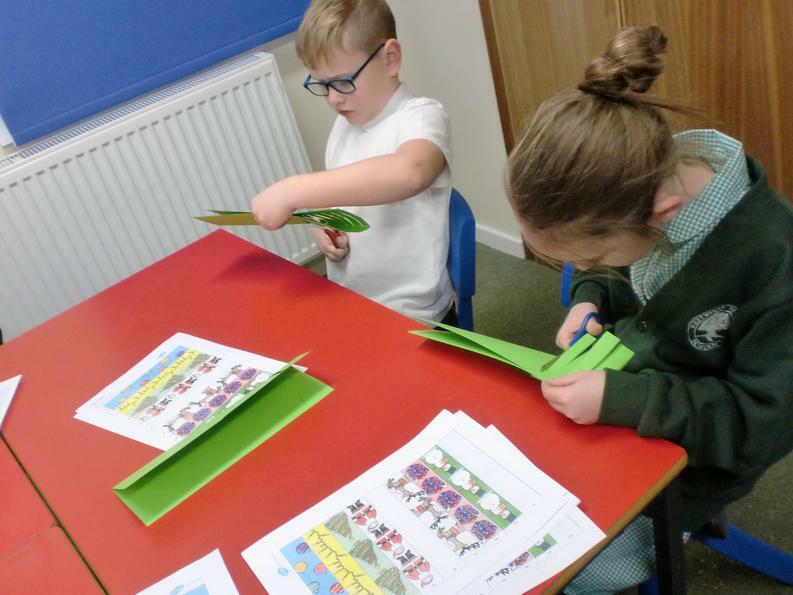 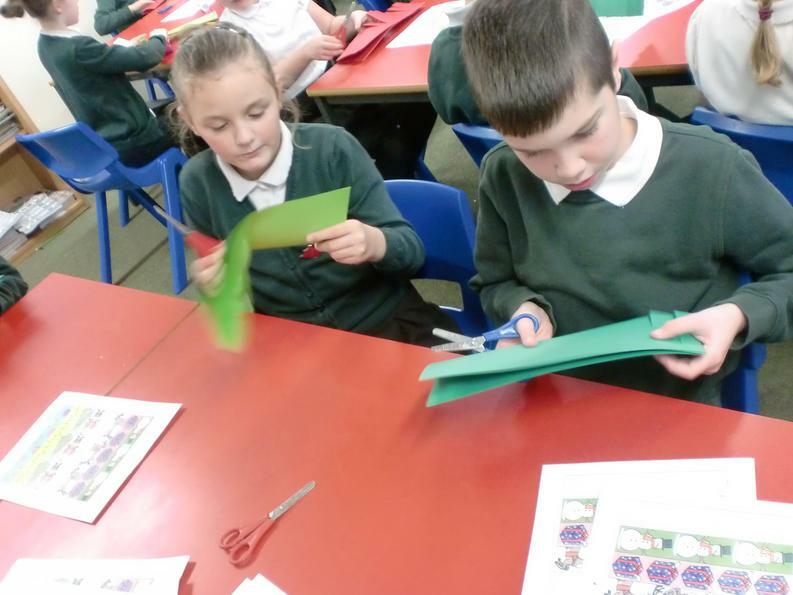 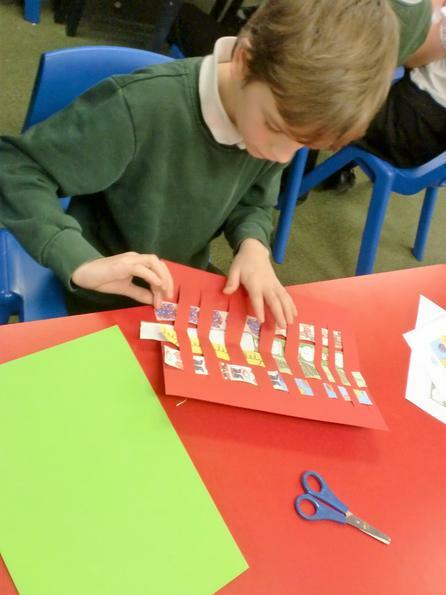 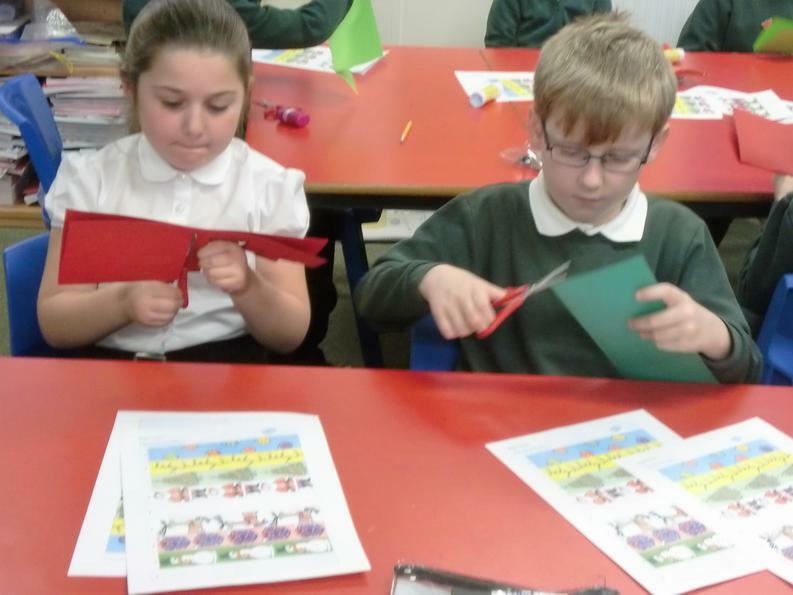 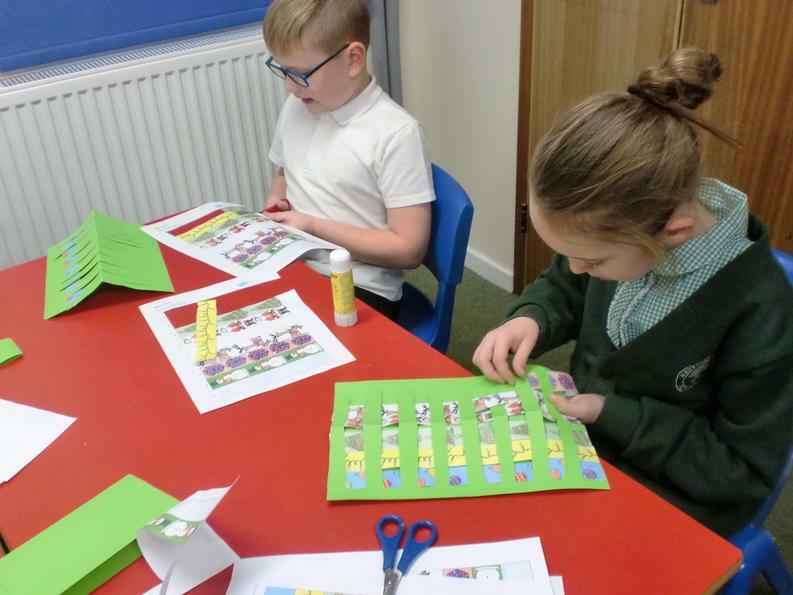 We imagined that we were working in the mills, weaving our own paper Christmas placemat! 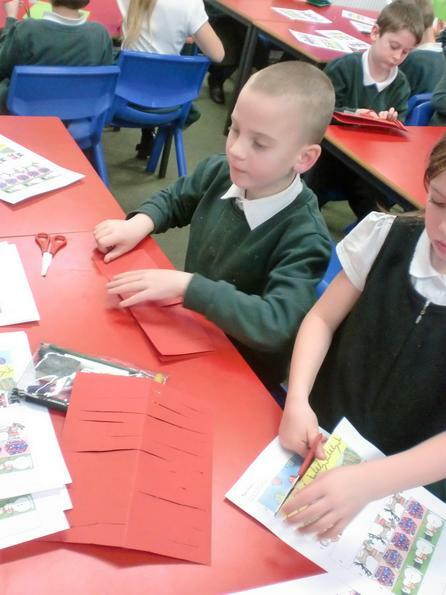 We wrote a set of instructions to tell others how to make one. 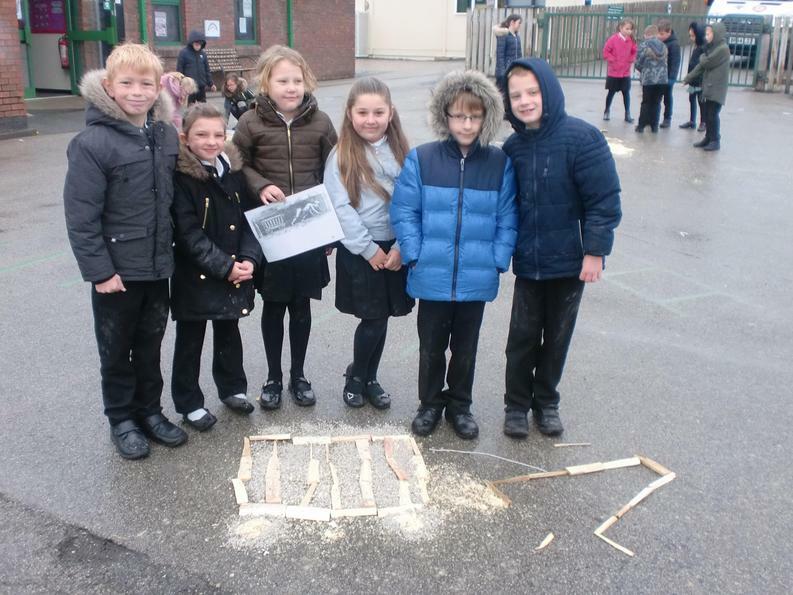 We wrote an advert to encourage other people to come and work in the mills. 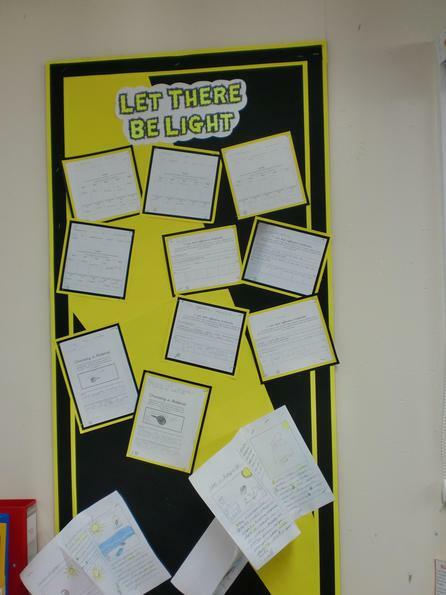 Look at all of our fantastic work! 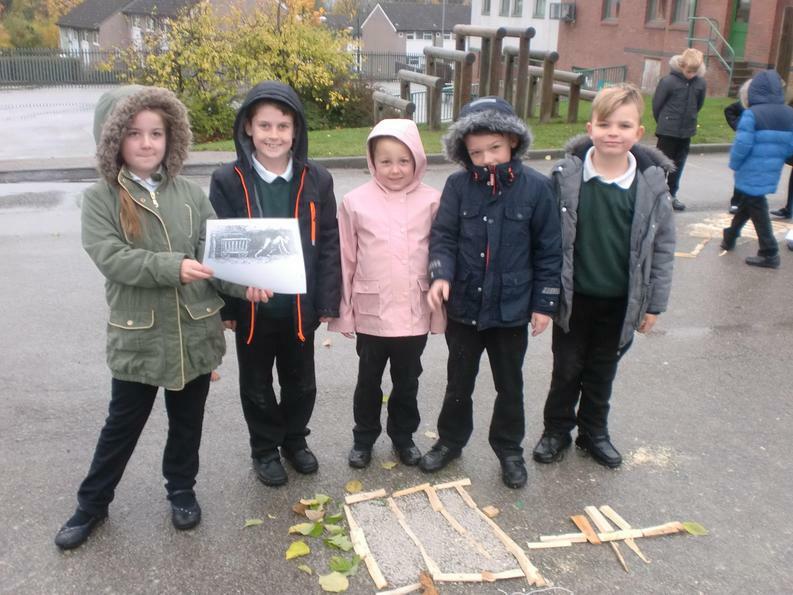 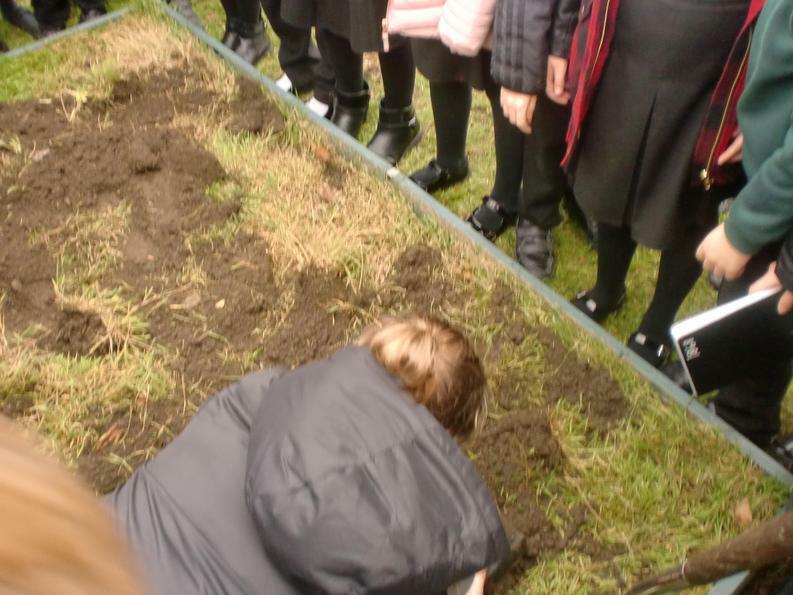 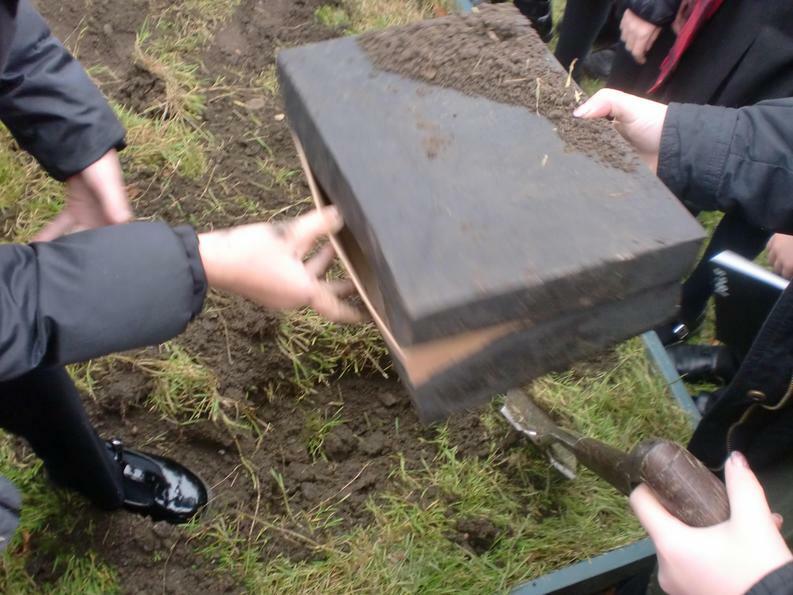 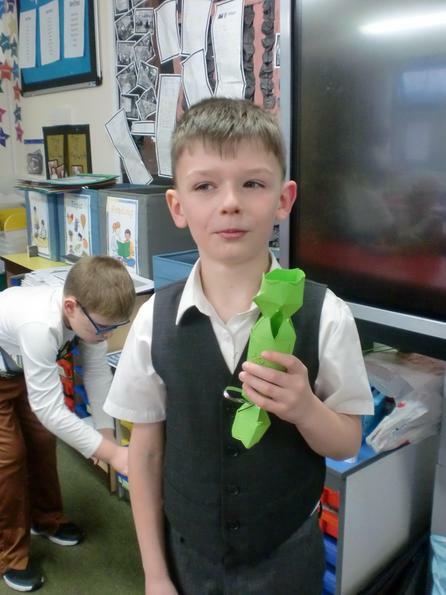 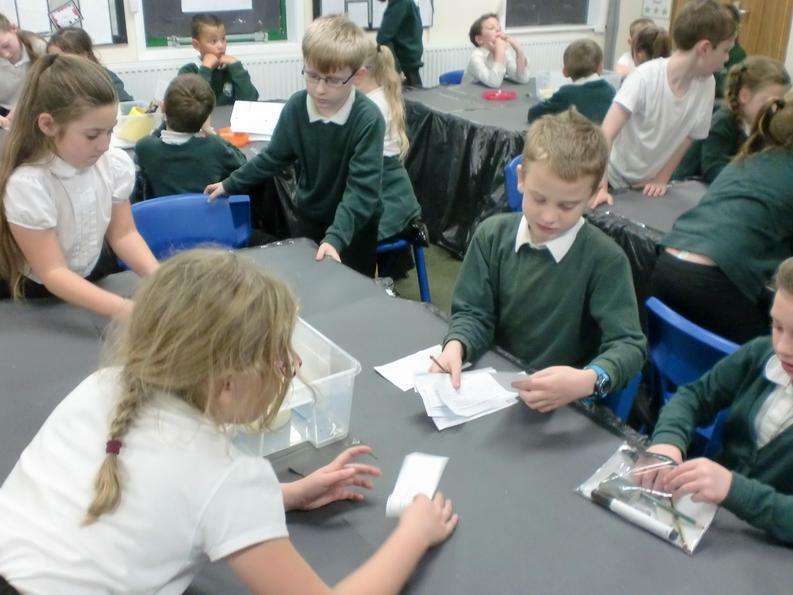 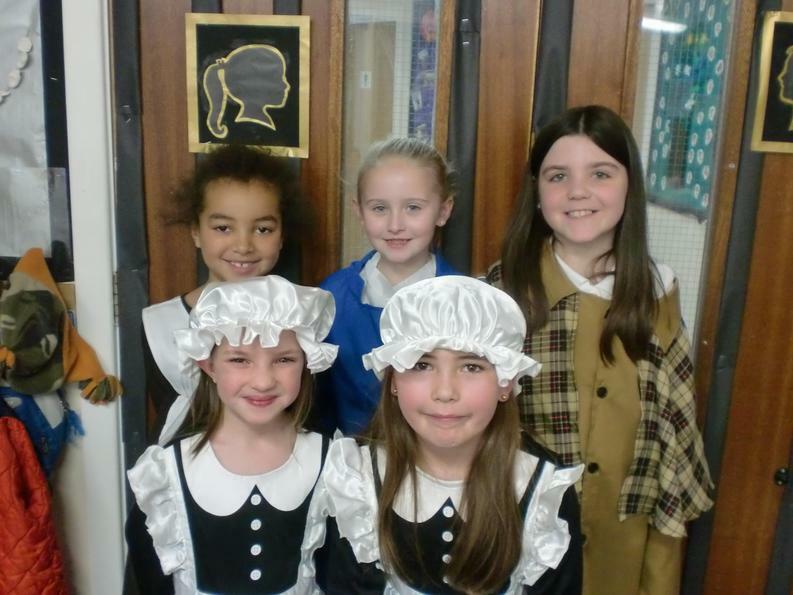 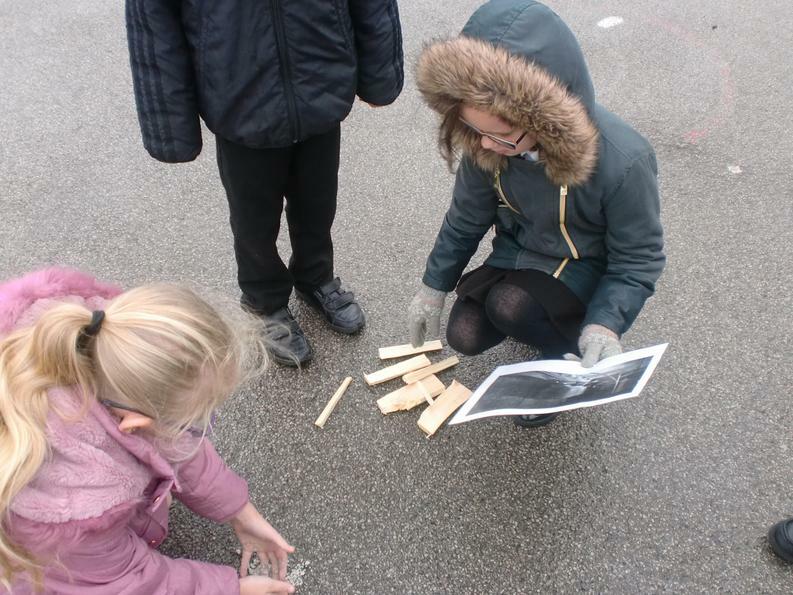 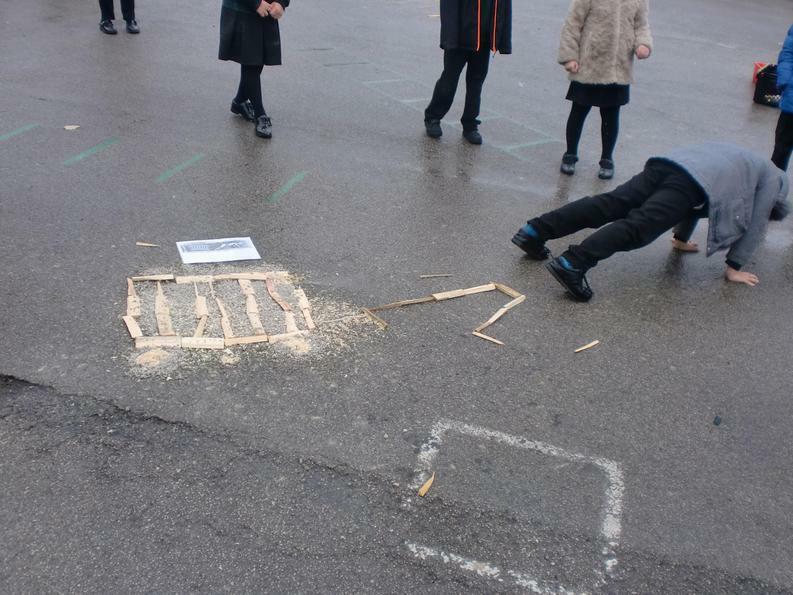 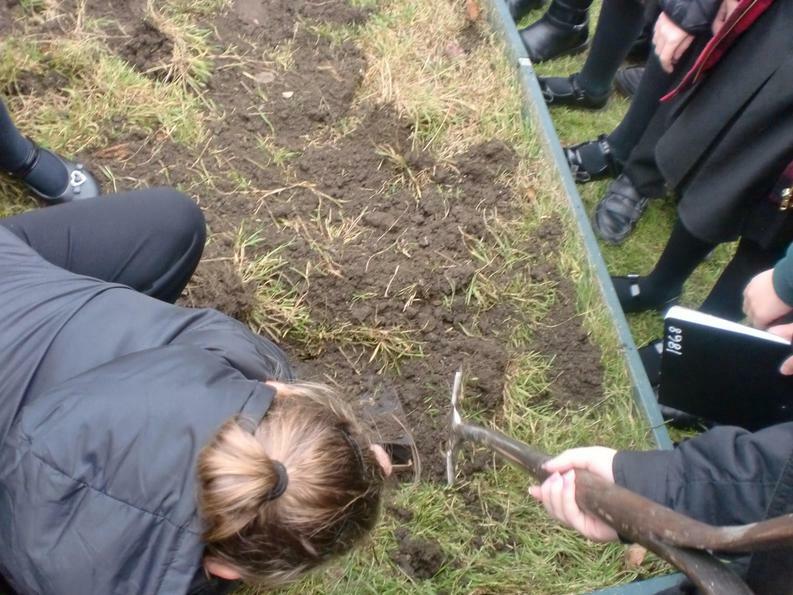 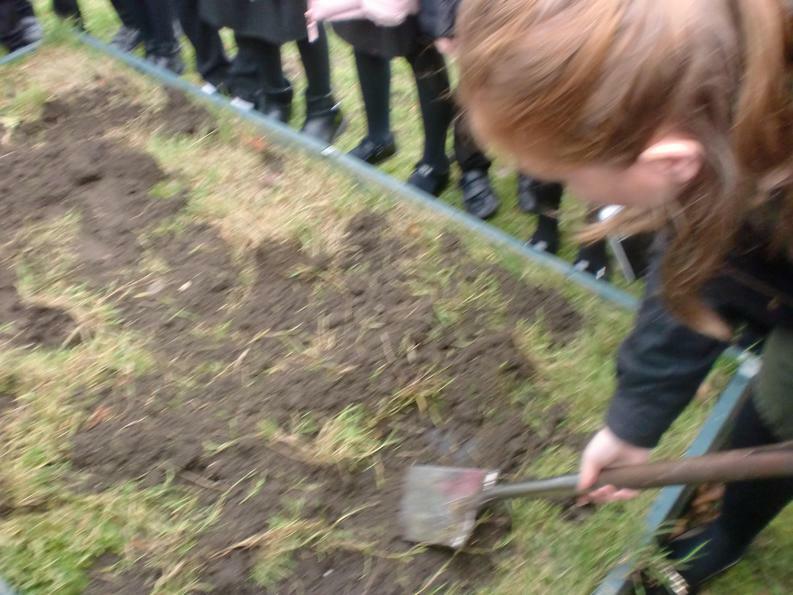 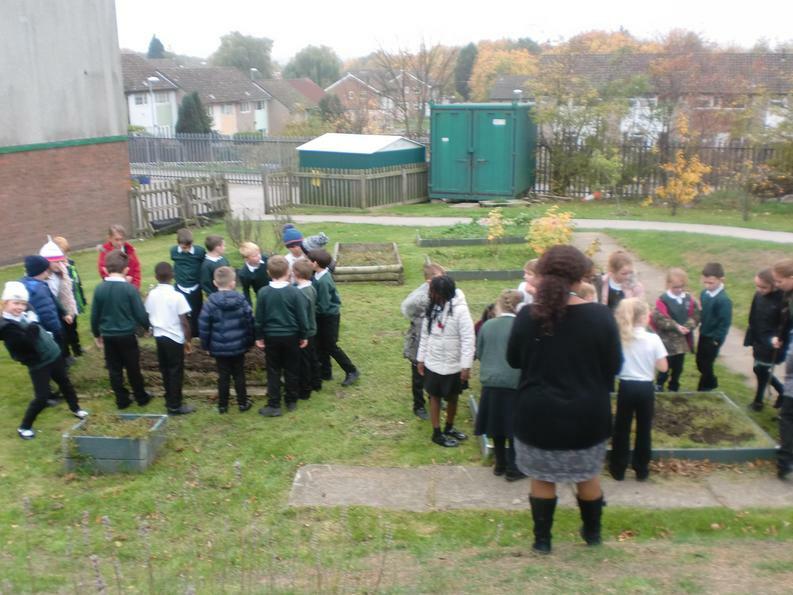 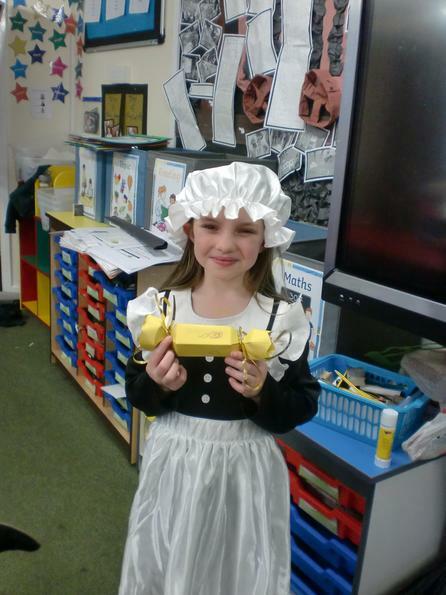 We then found more clues in our time capsule, this time leading us to a Victorian School. 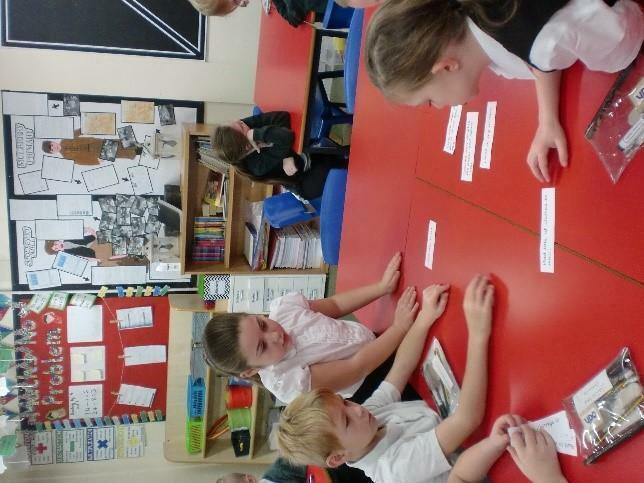 We looked at the similarities and differences between Victorian schools and Modern day schools. 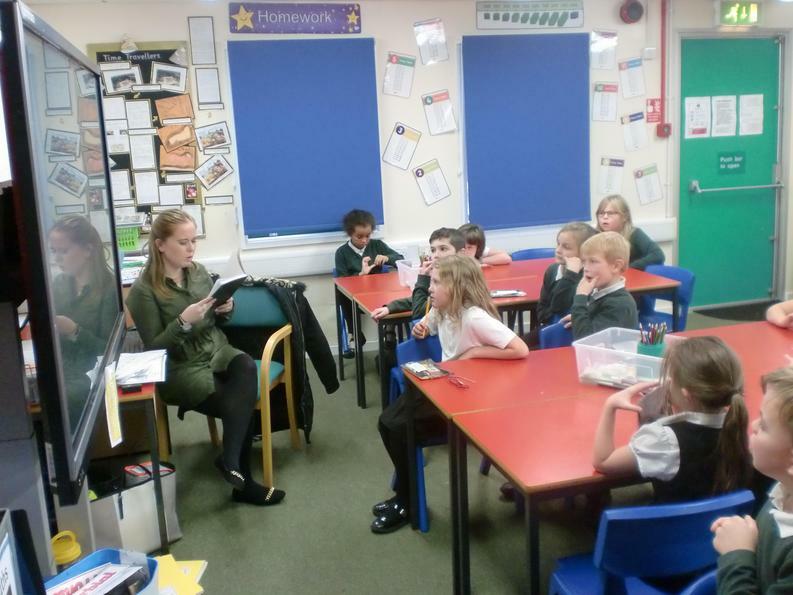 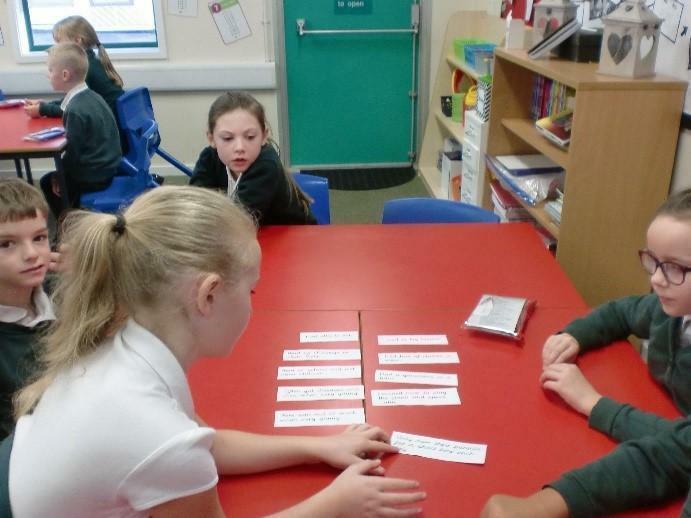 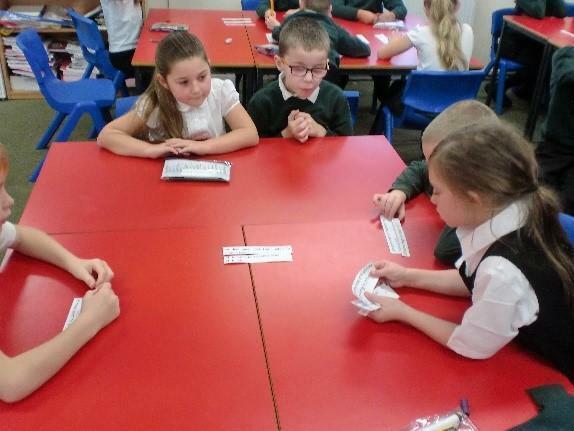 We then wrote our own set of Victorian school rules! 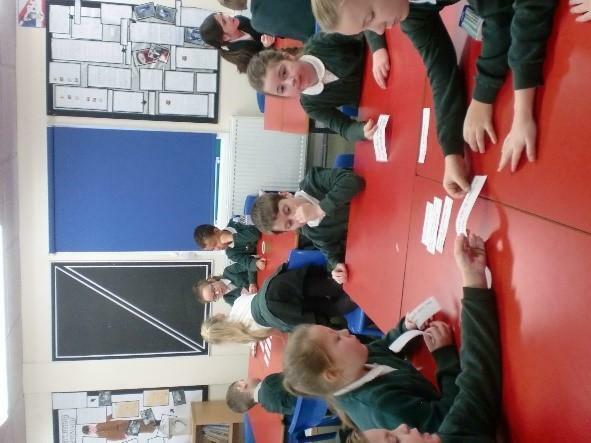 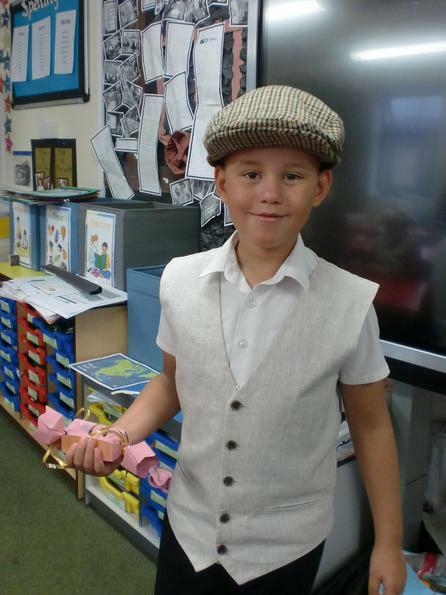 We then looked at the differences between the lives of rich and poor Victorians. 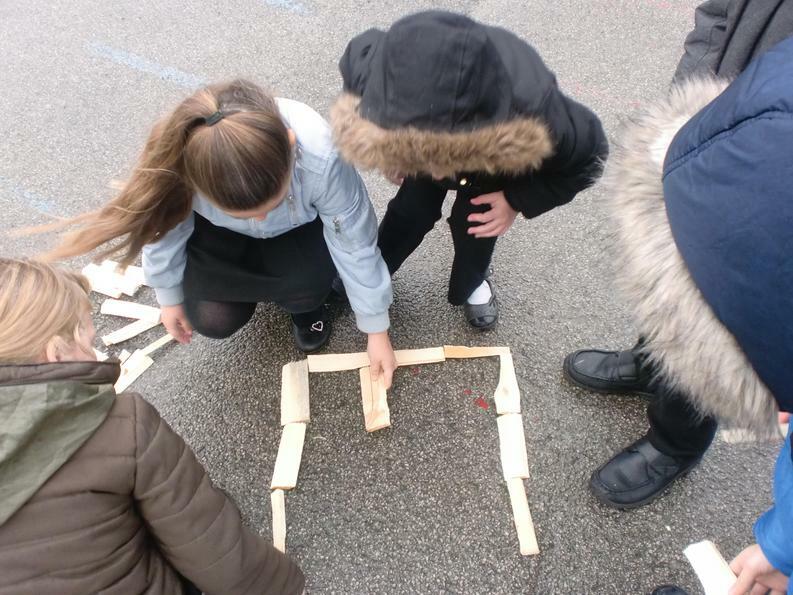 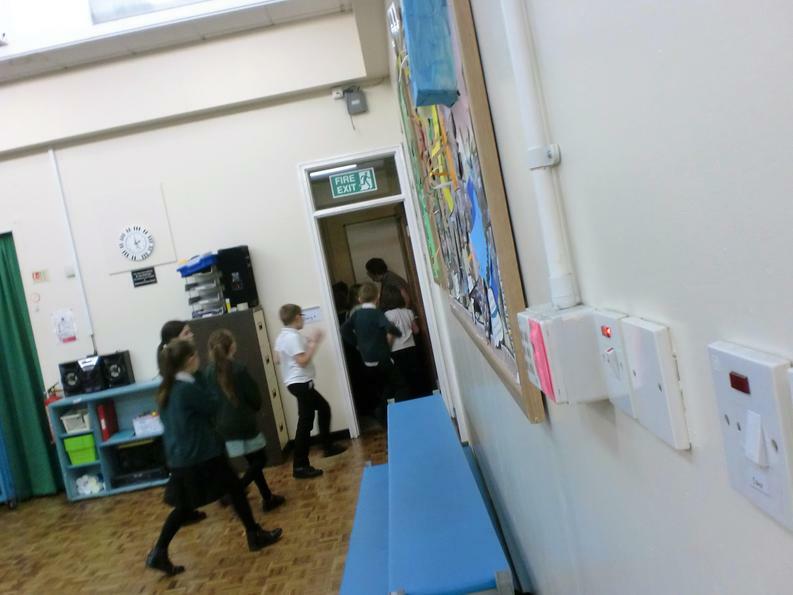 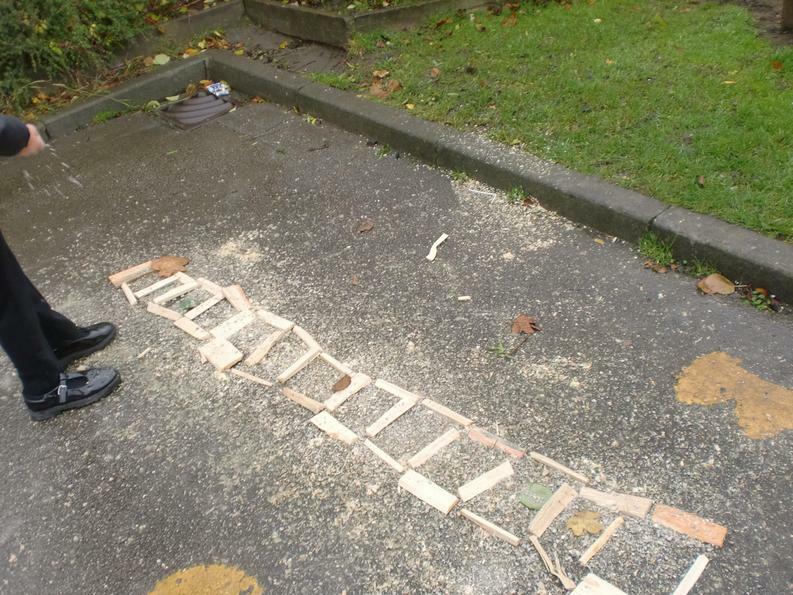 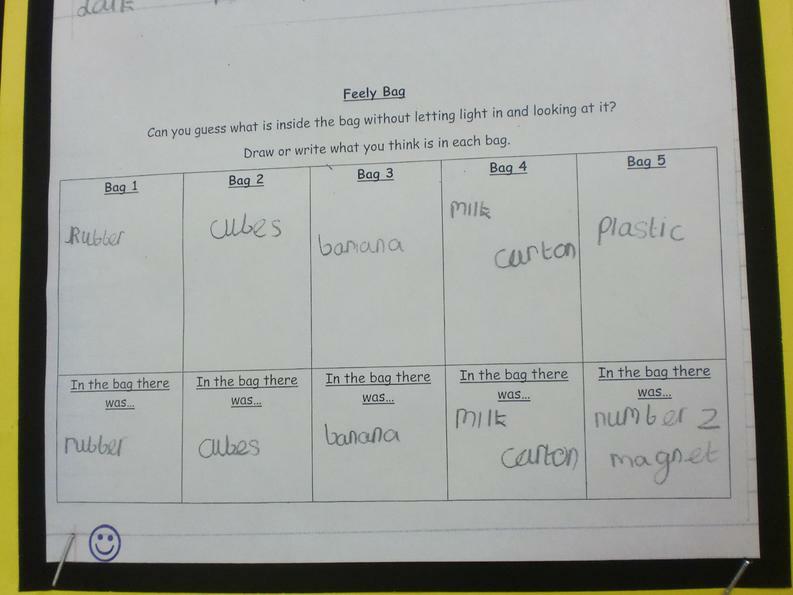 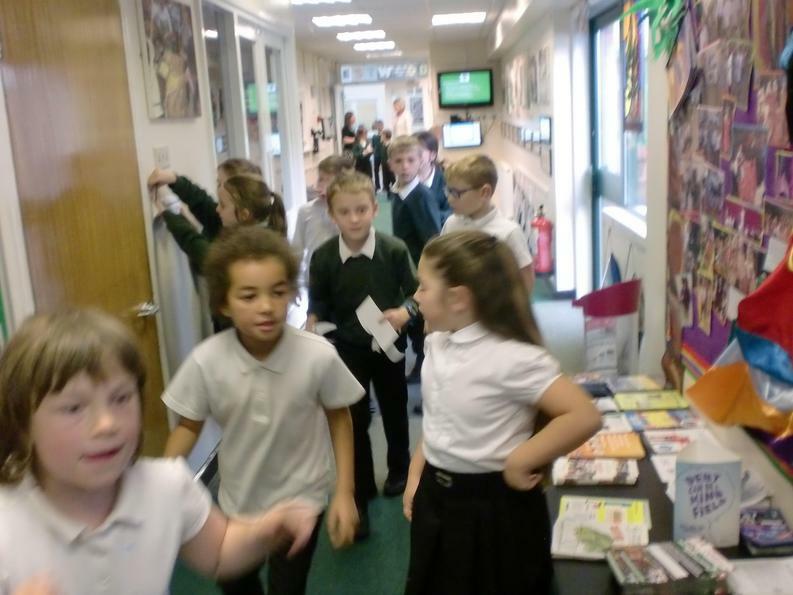 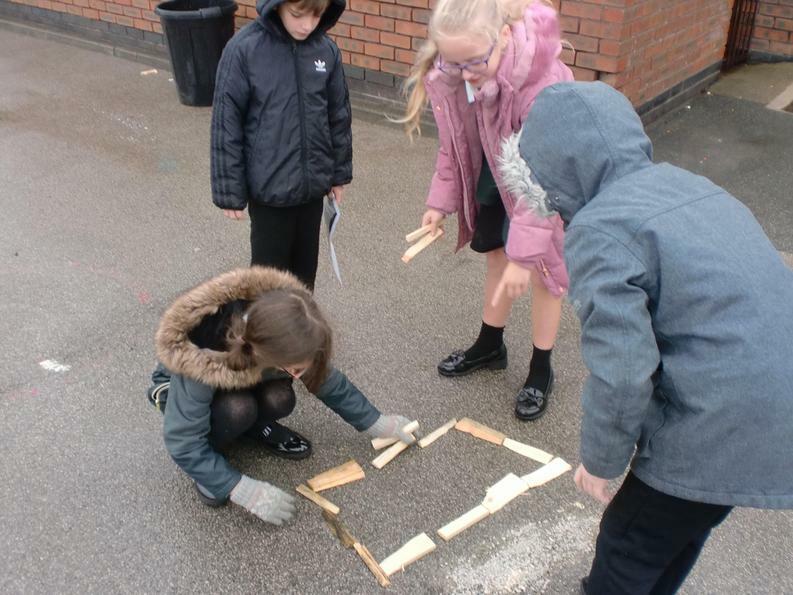 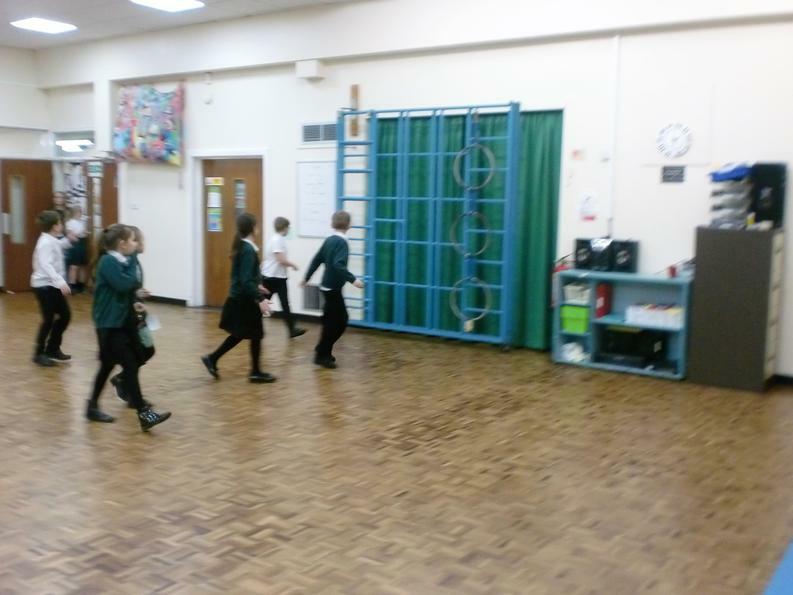 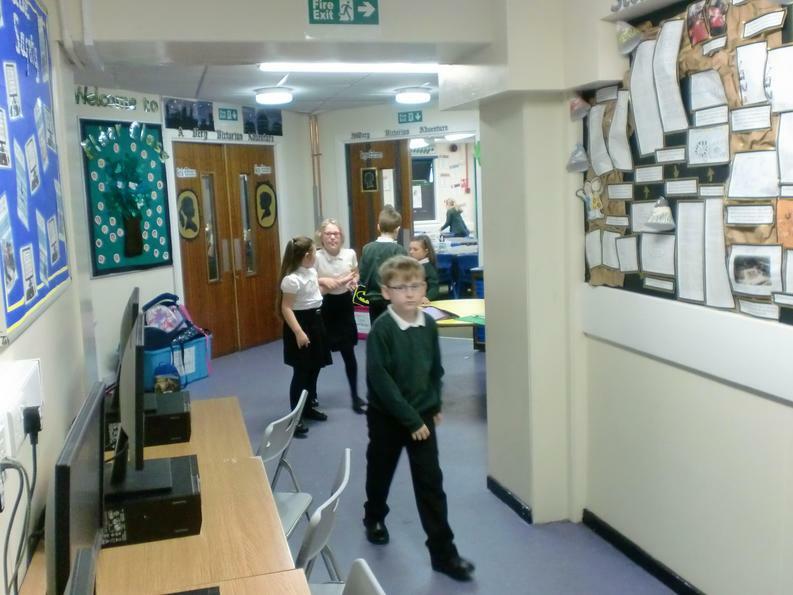 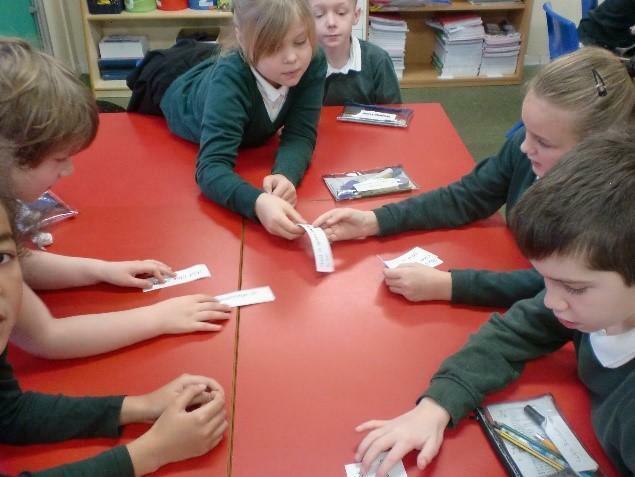 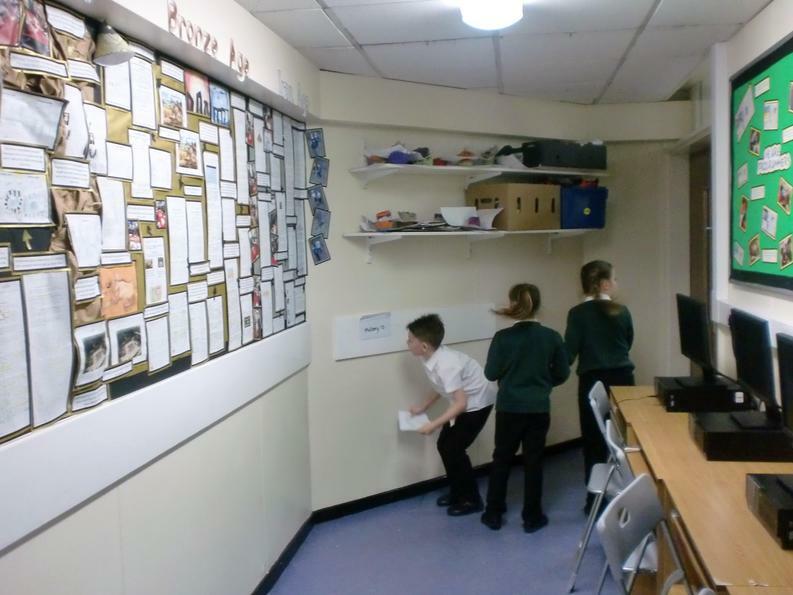 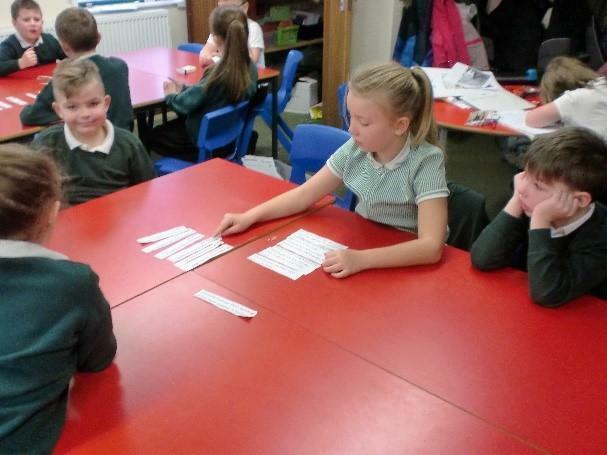 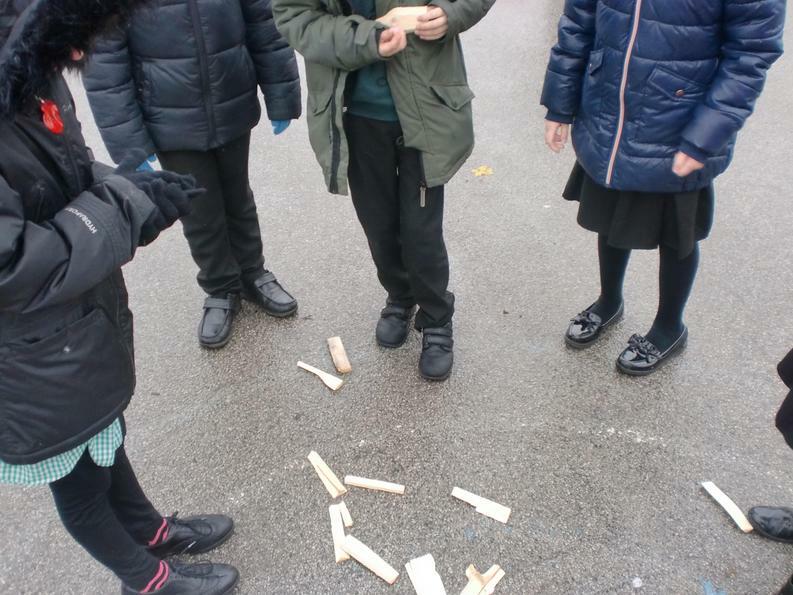 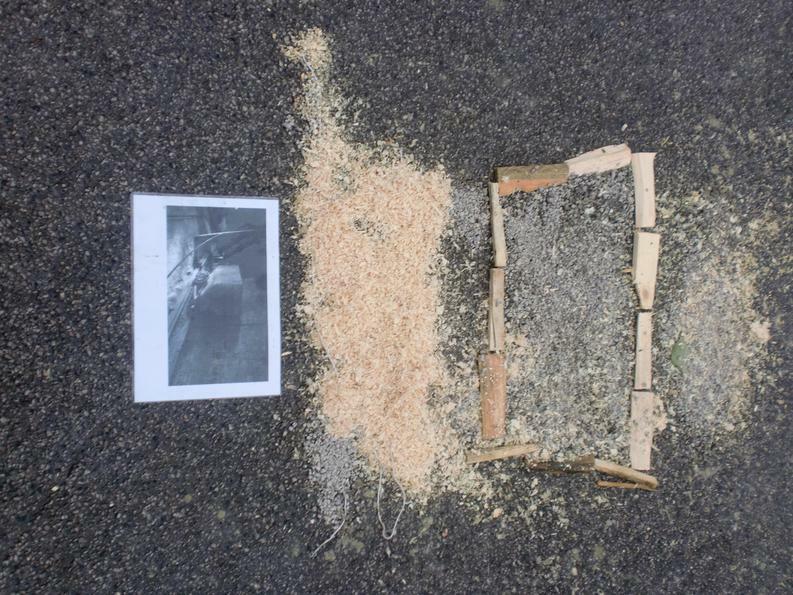 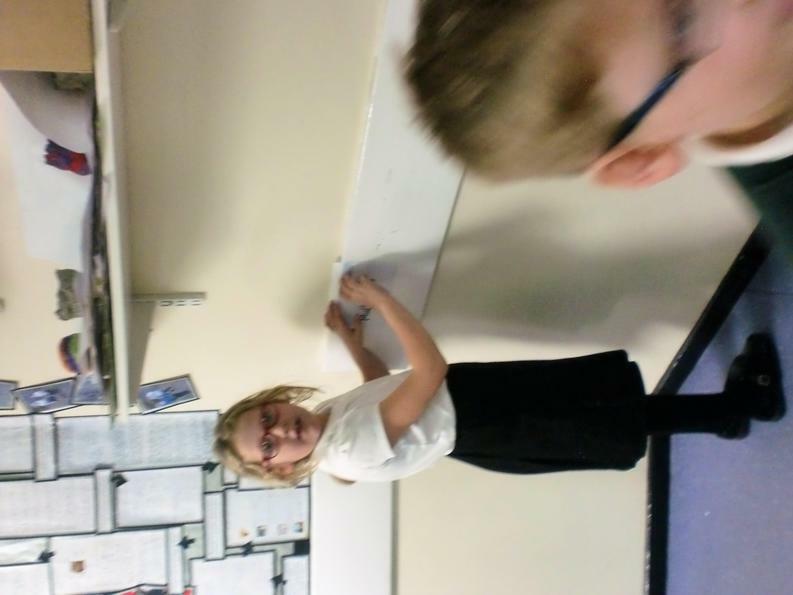 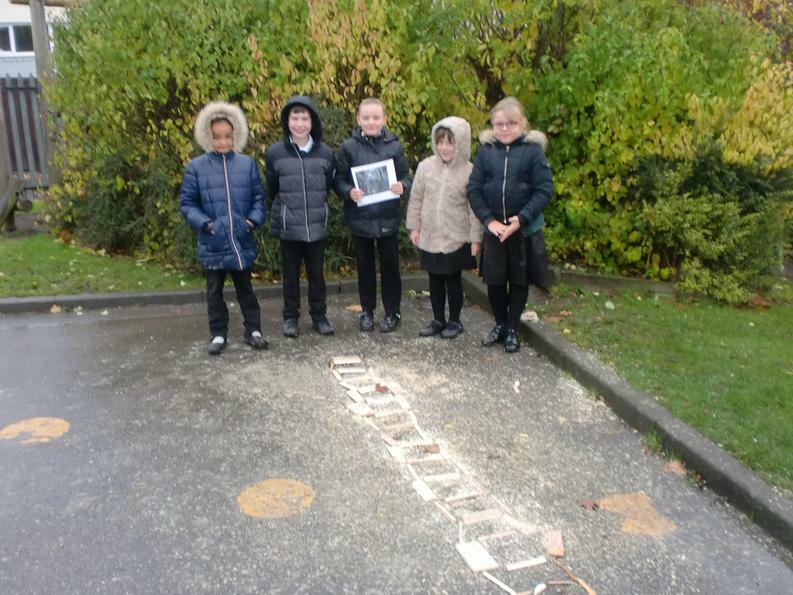 We completed a Burn2Learn to find different facts hidden around the school. 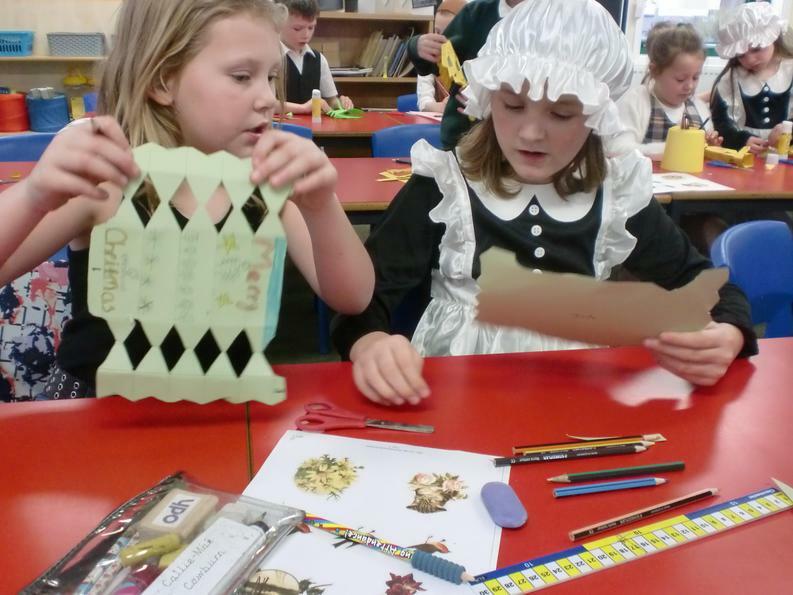 We then had to decide if they were about a rich Victorian's life, or a poor Victorian's life. 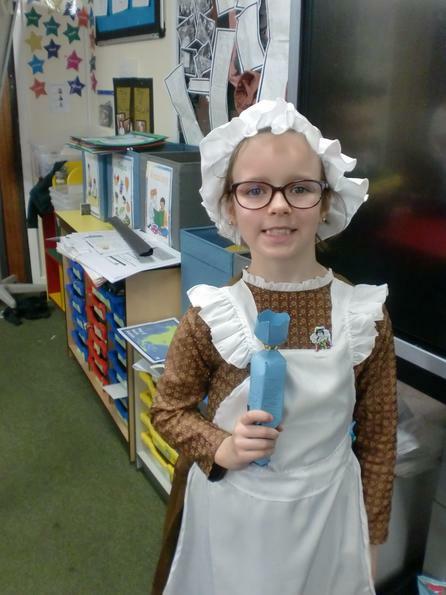 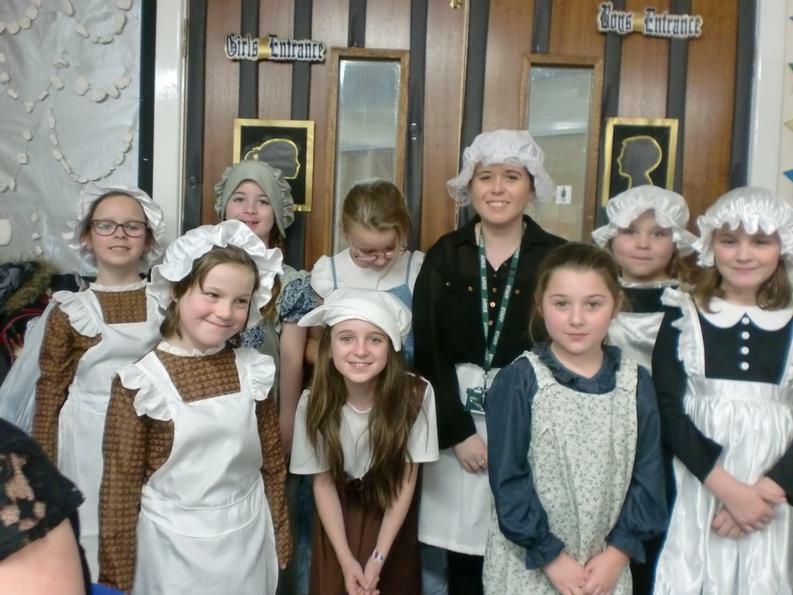 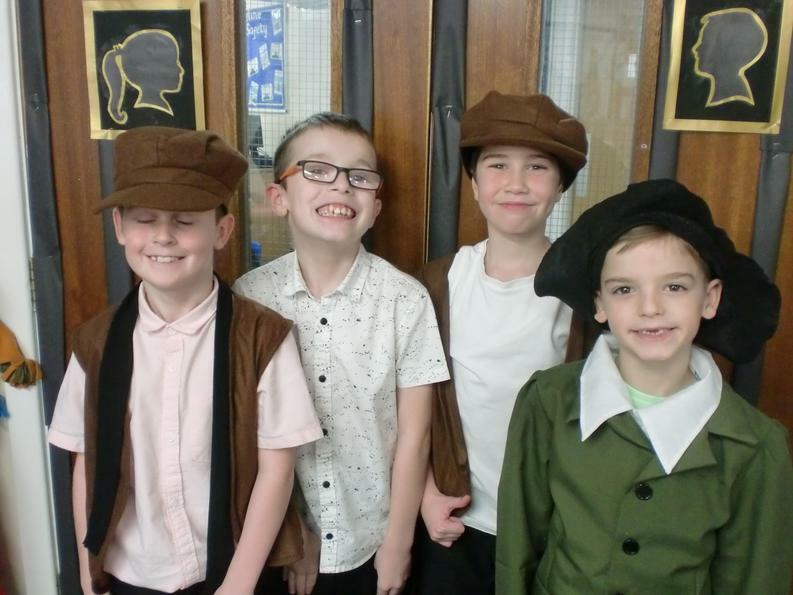 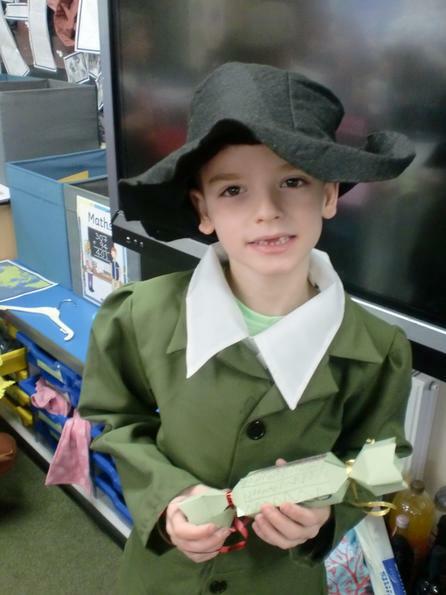 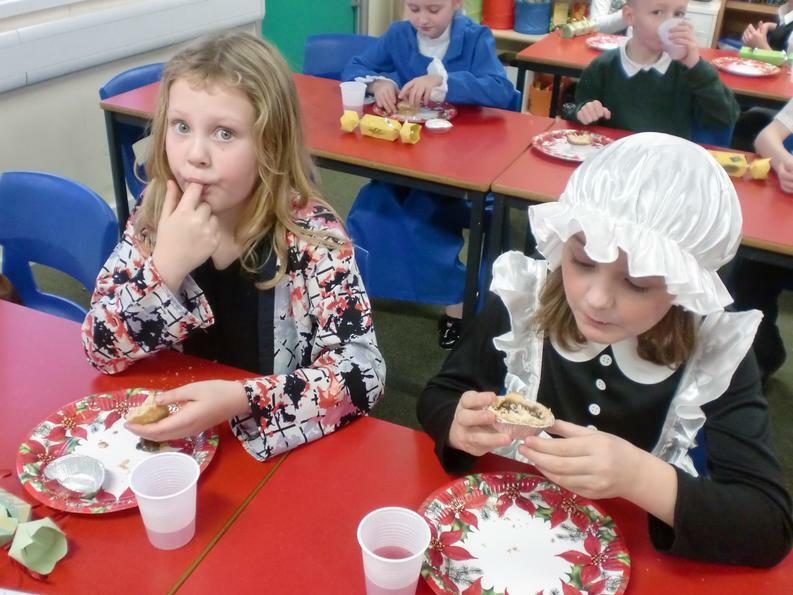 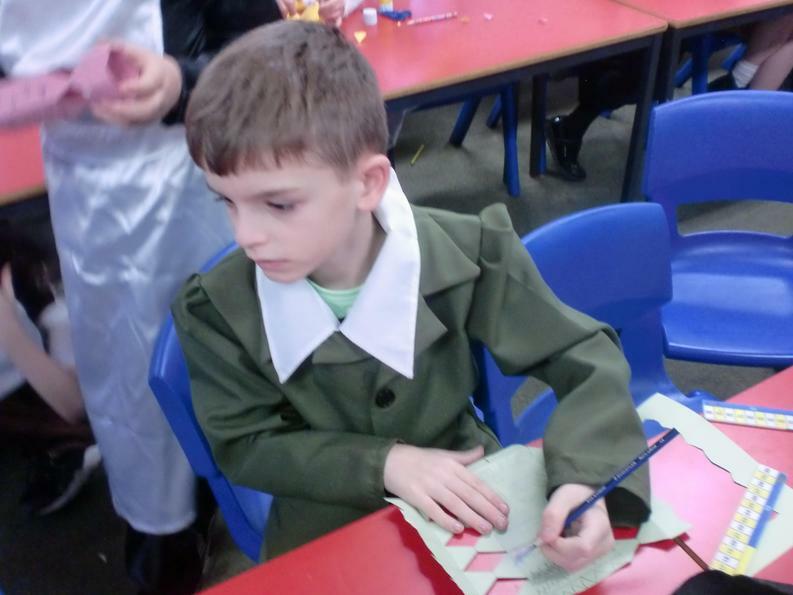 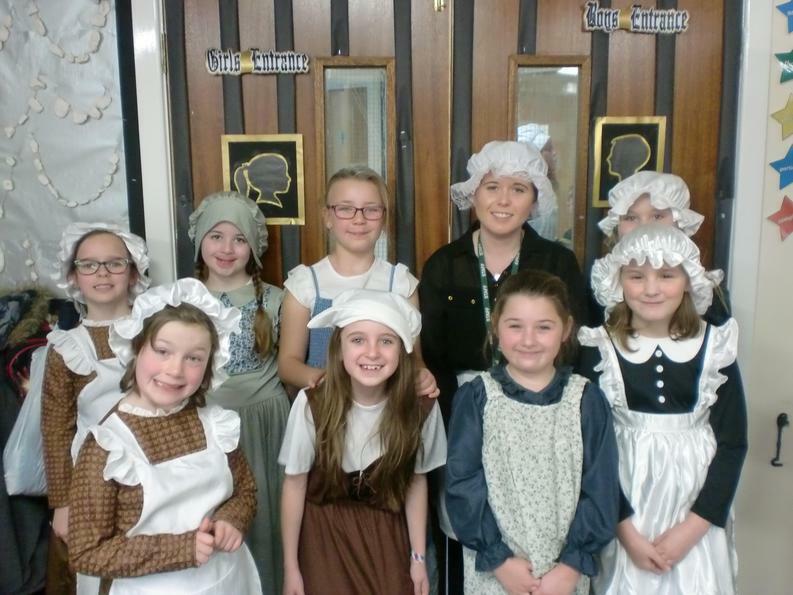 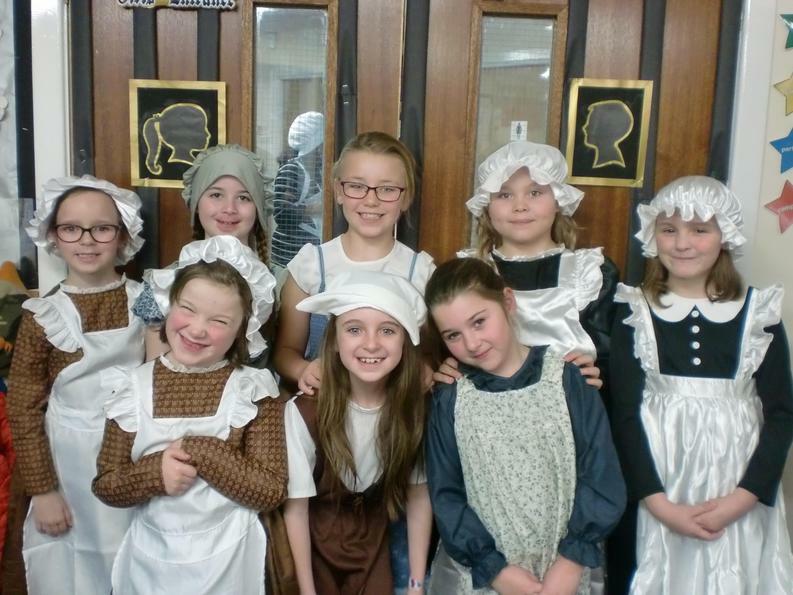 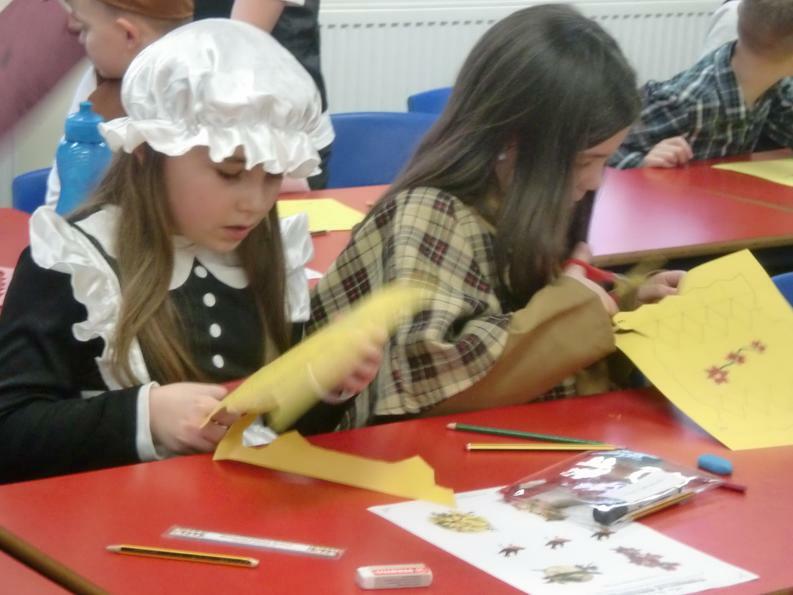 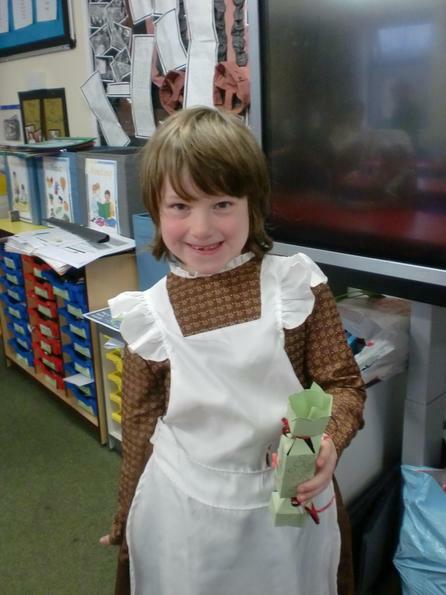 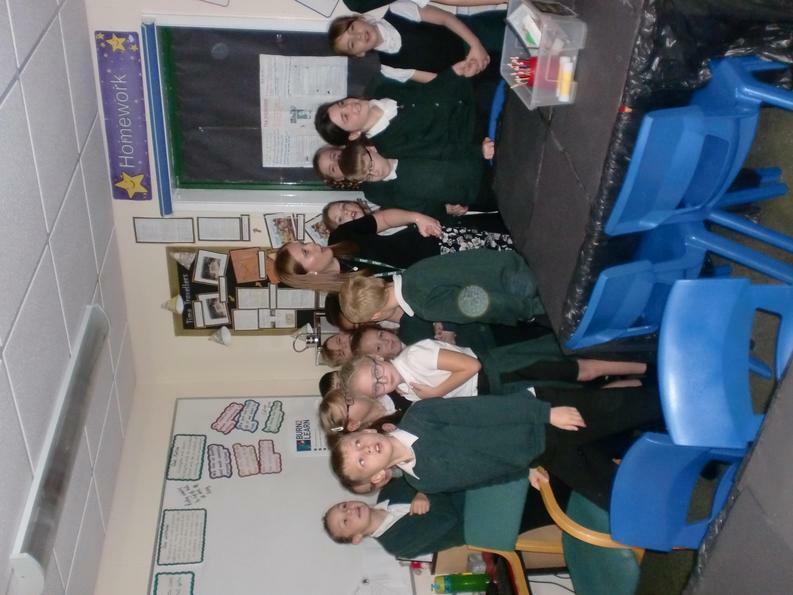 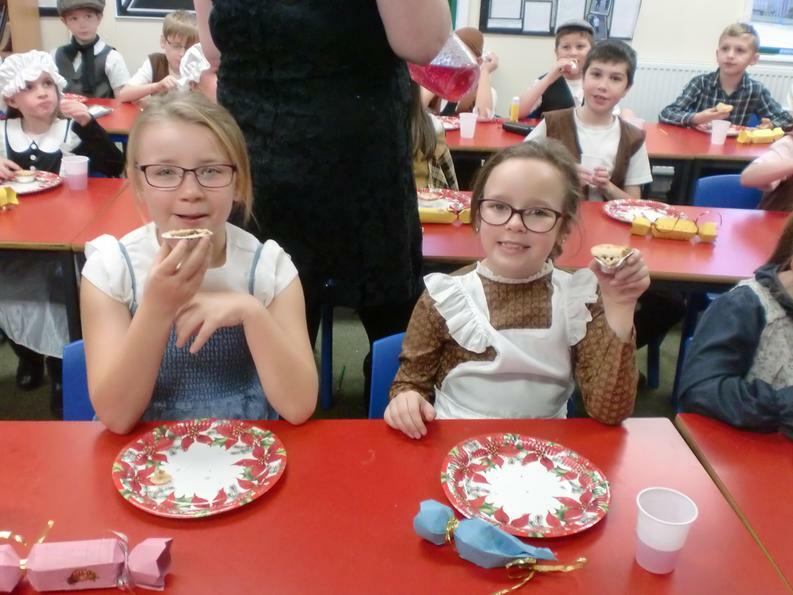 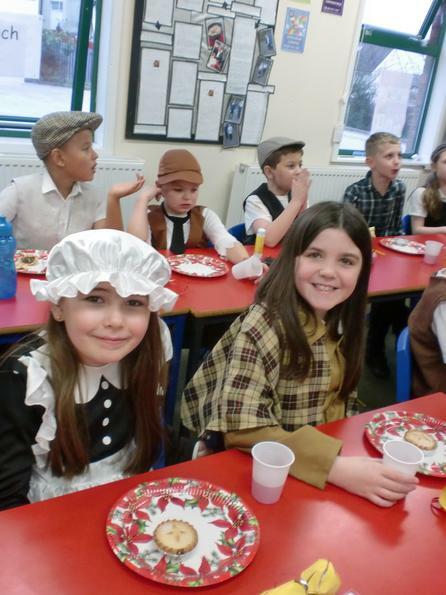 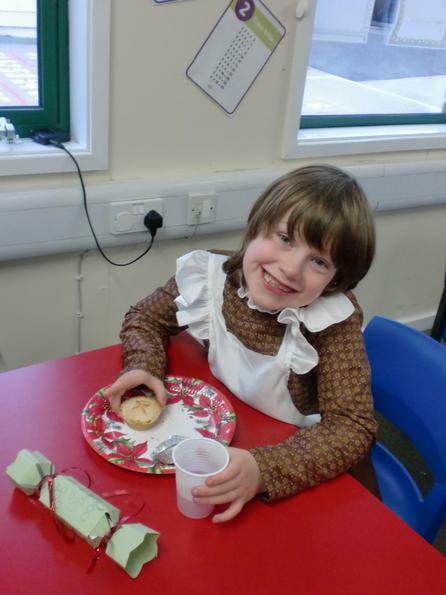 We held our own Victorian Christmas and dressed up in Victorian clothing! 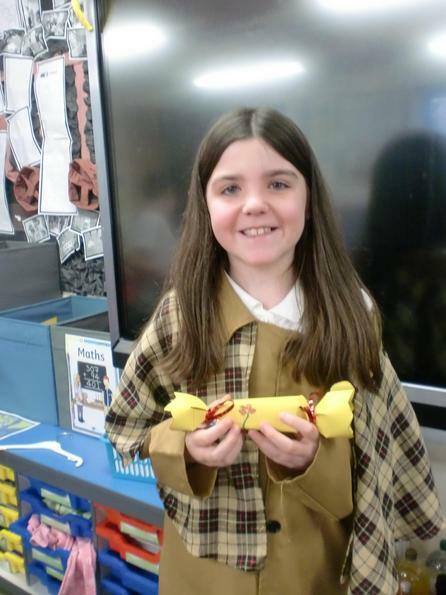 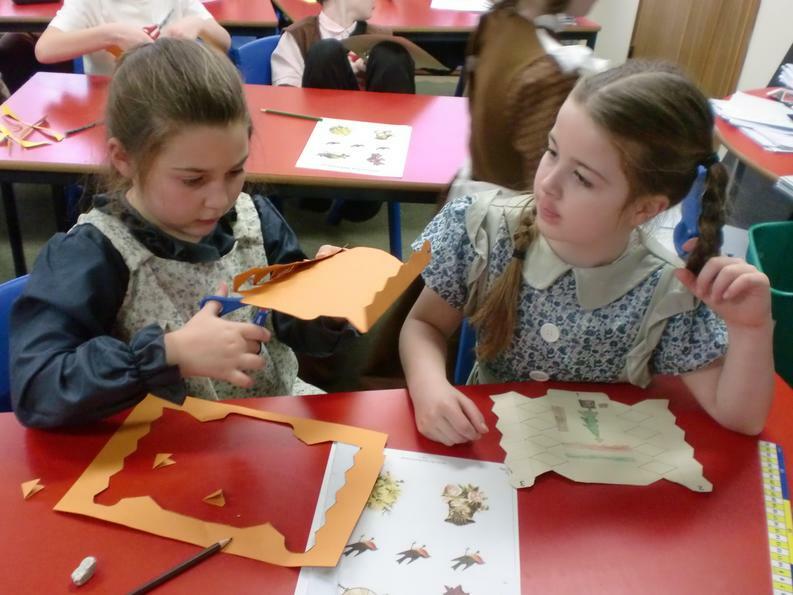 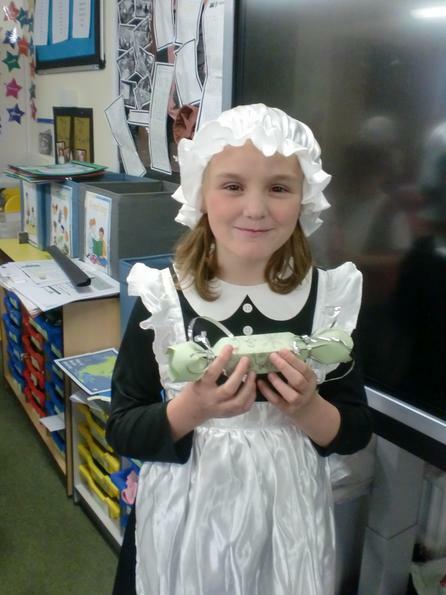 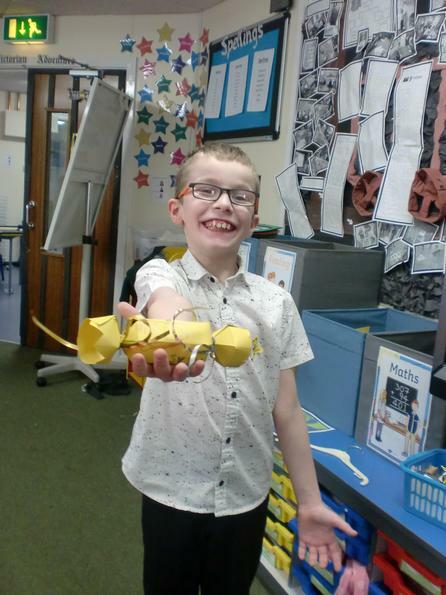 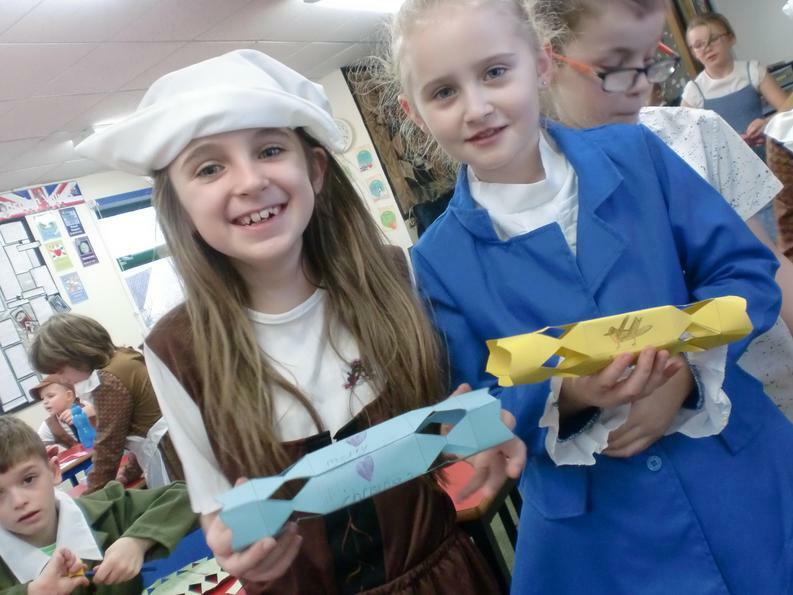 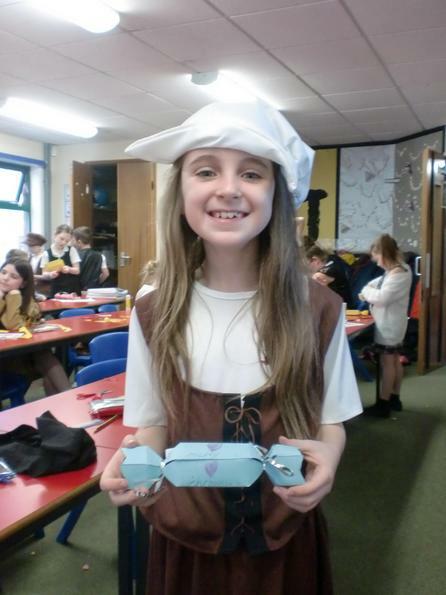 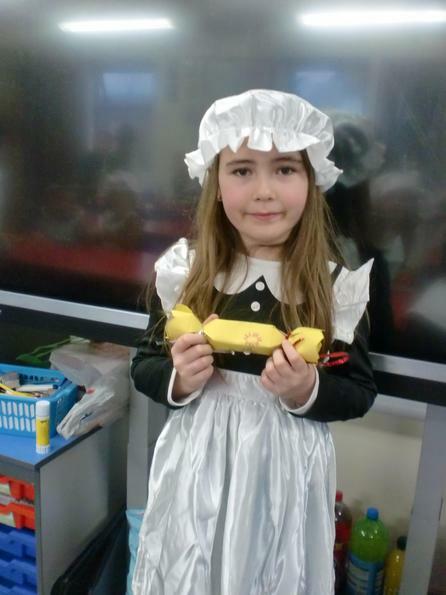 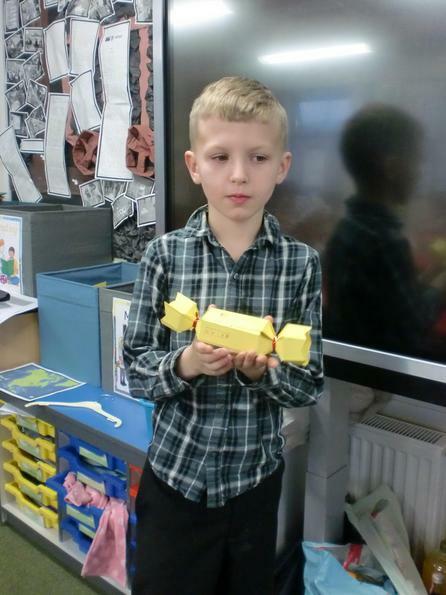 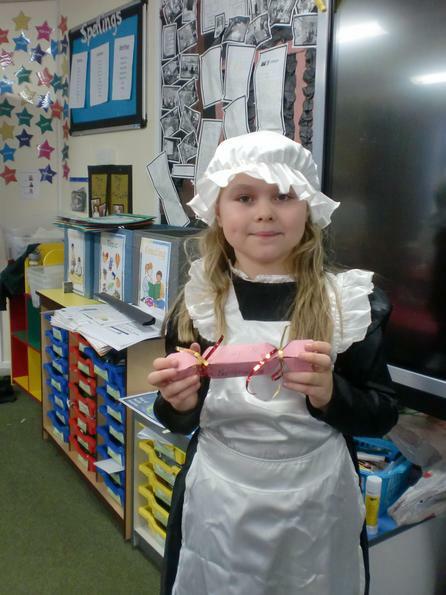 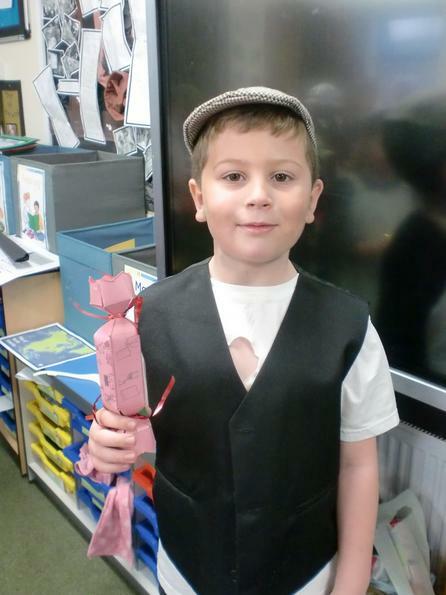 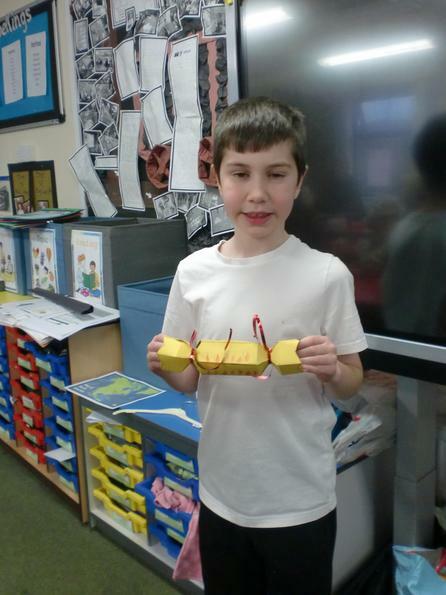 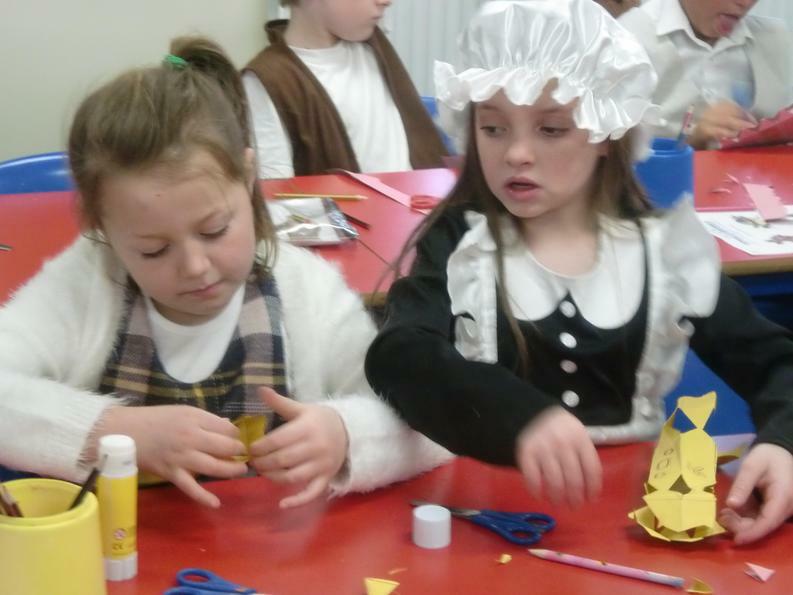 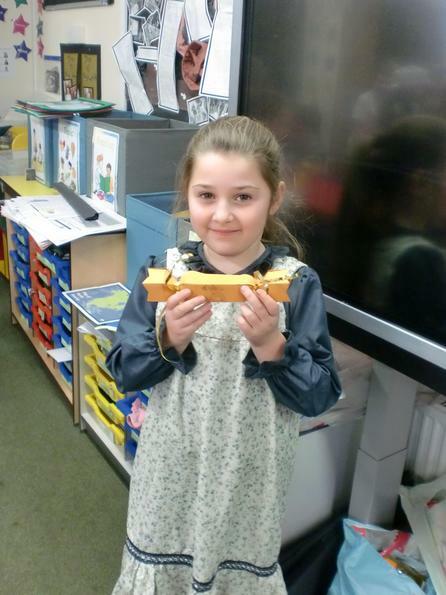 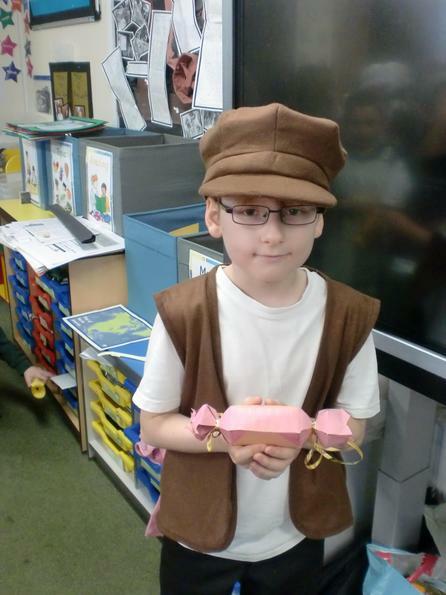 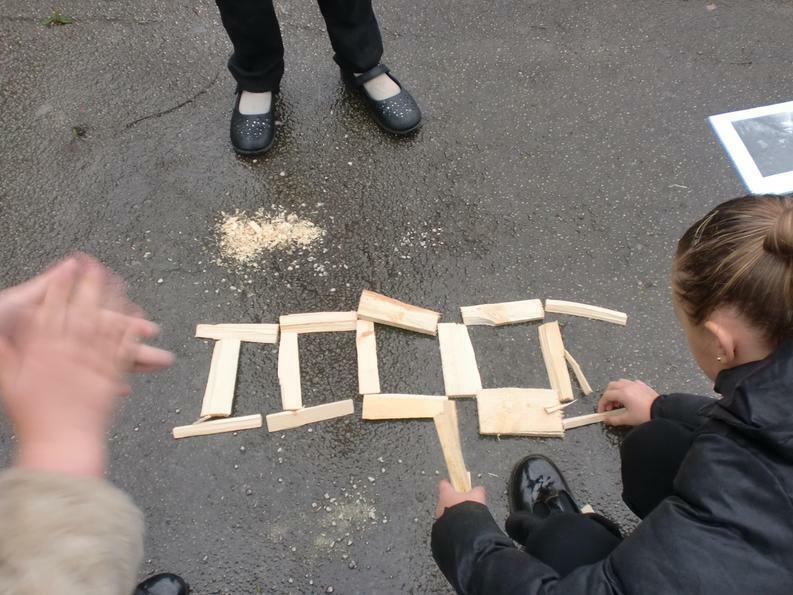 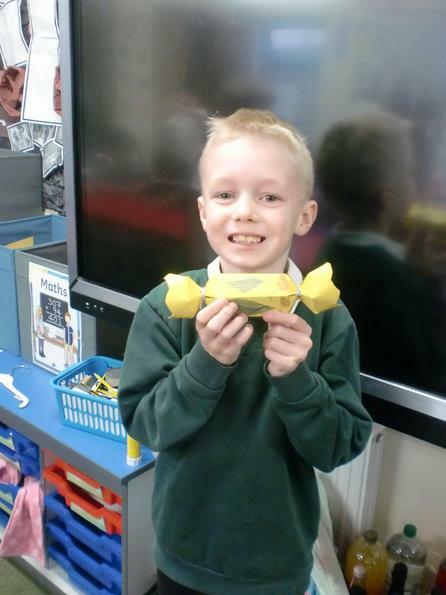 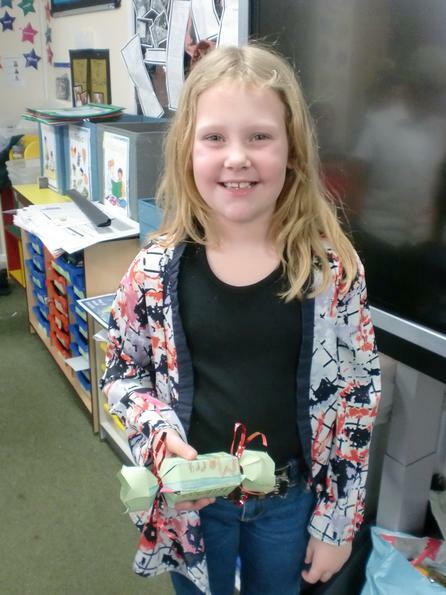 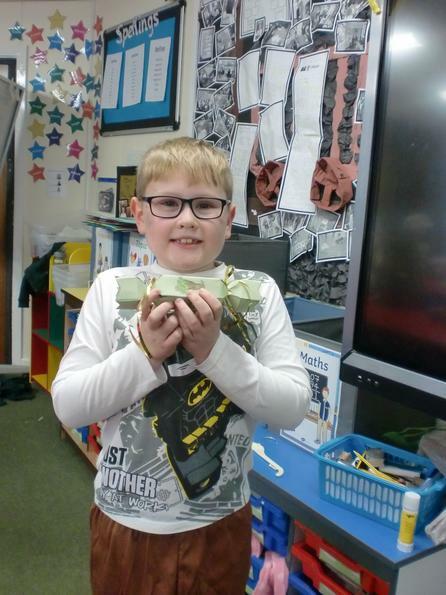 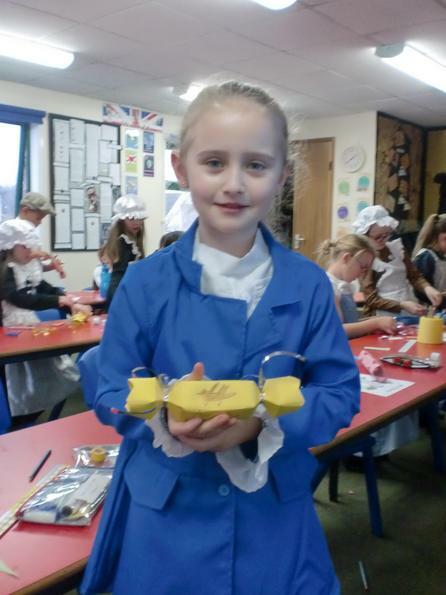 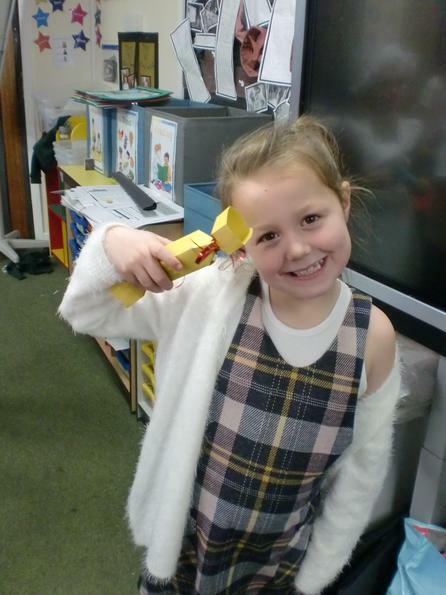 We completed lots of Victorian crafts, and even made our own crackers! 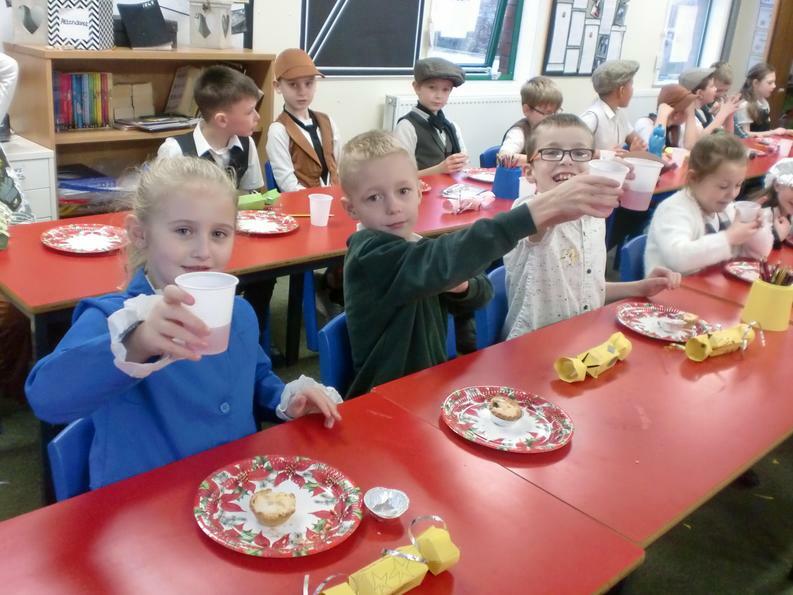 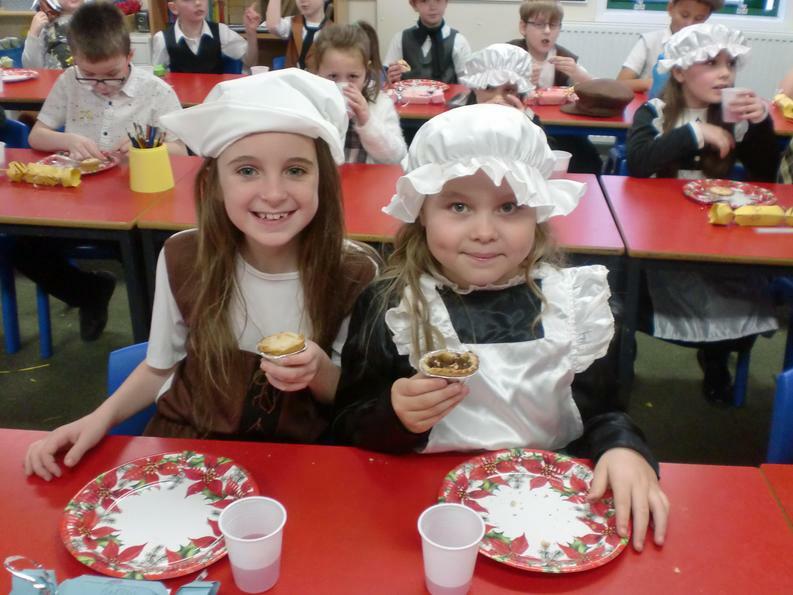 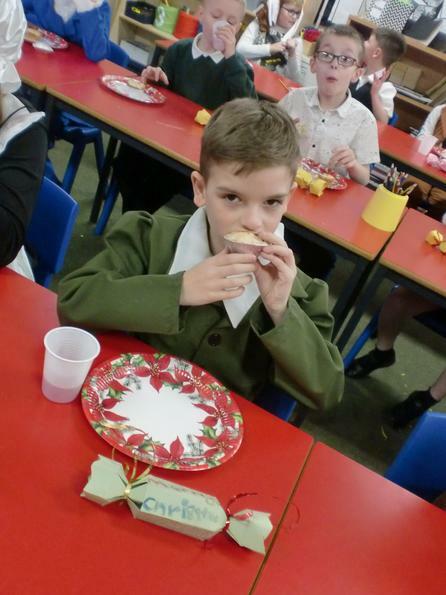 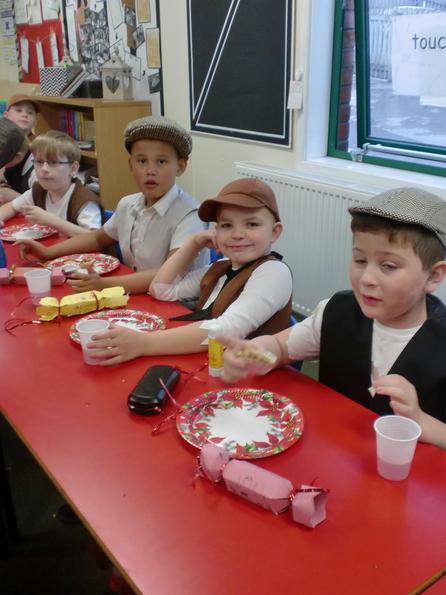 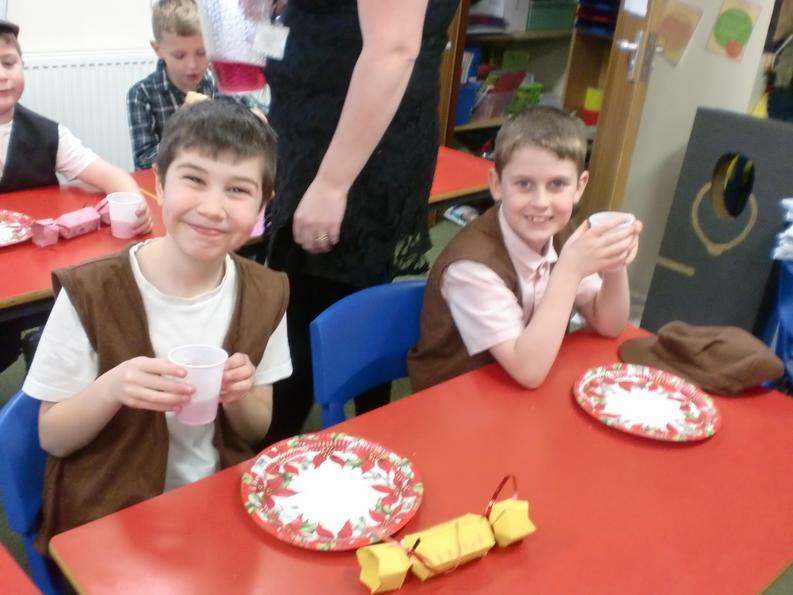 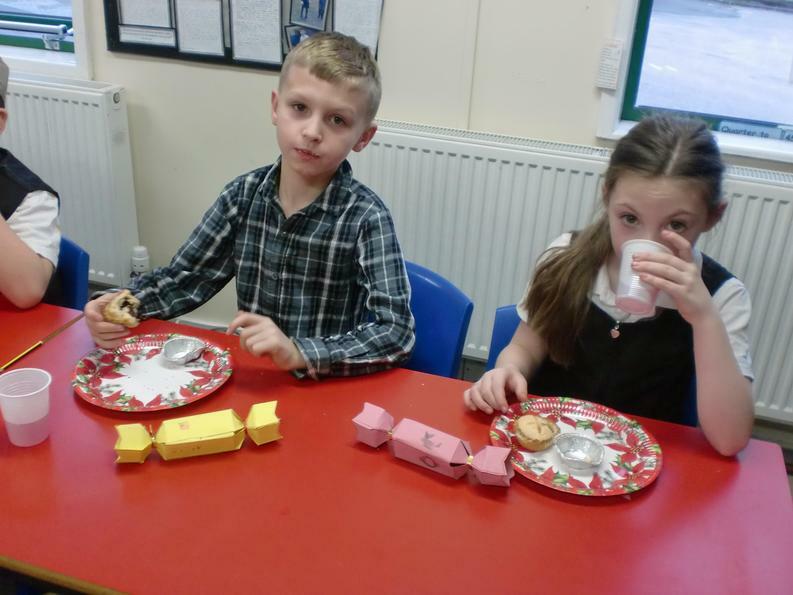 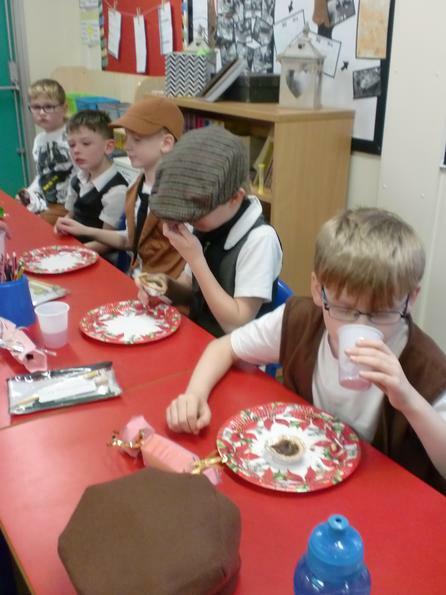 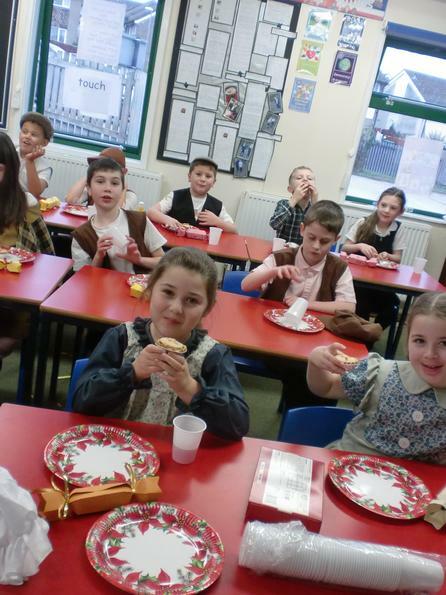 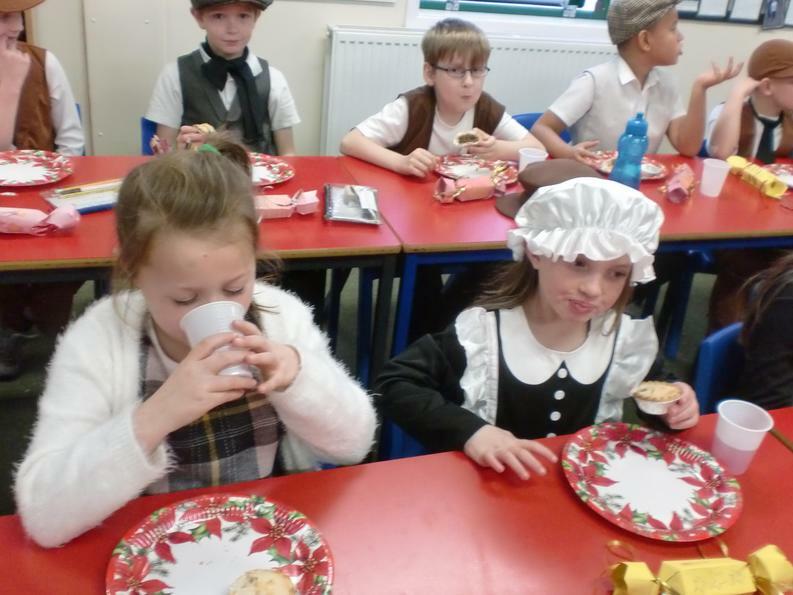 We then had a Victorian treat....Mince pies and warm juice!